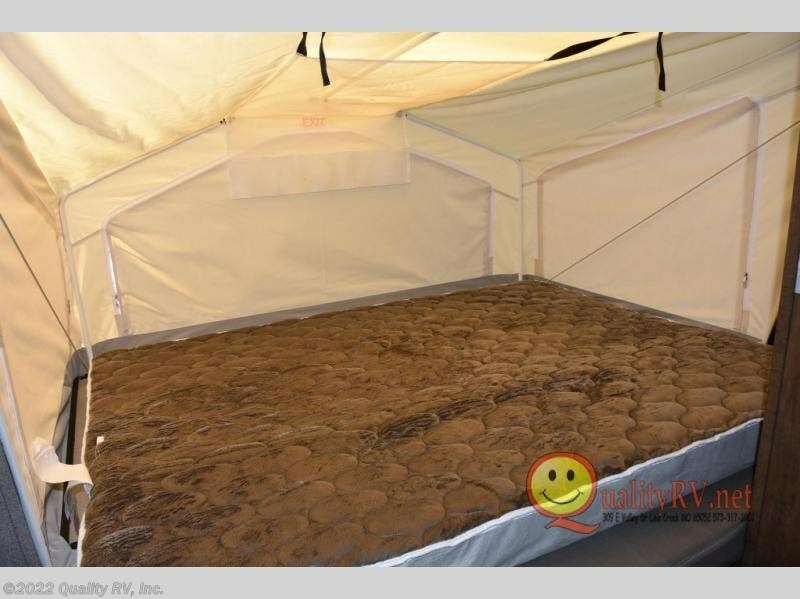 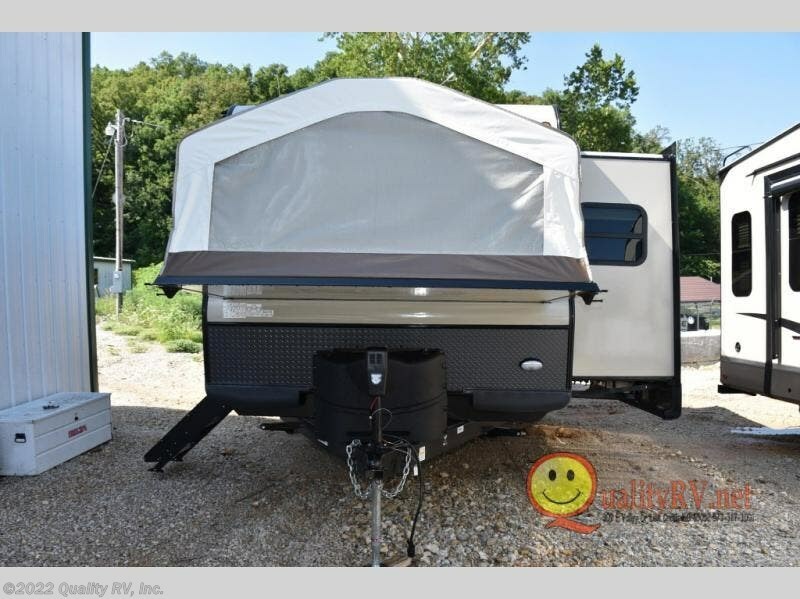 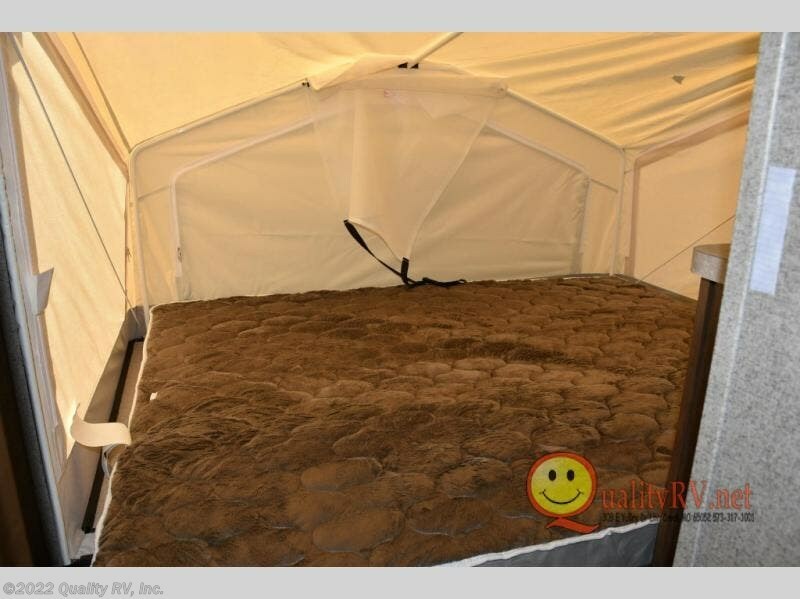 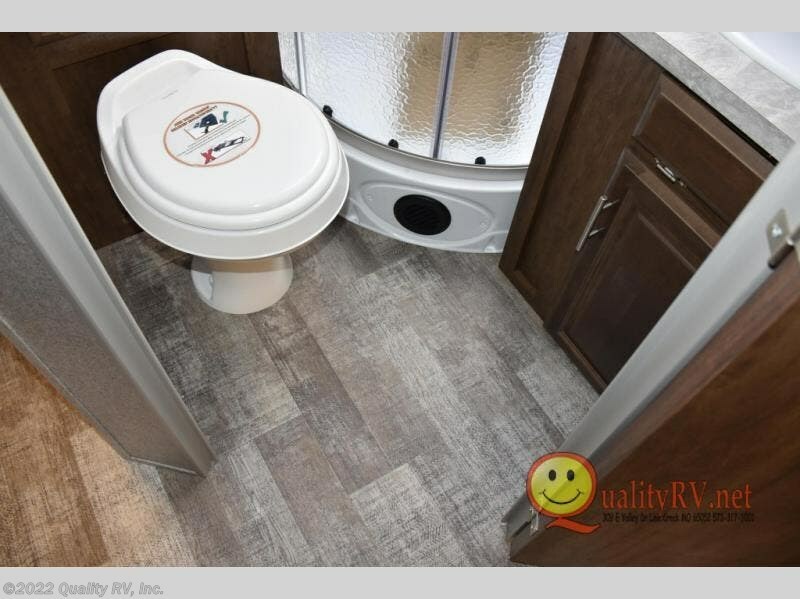 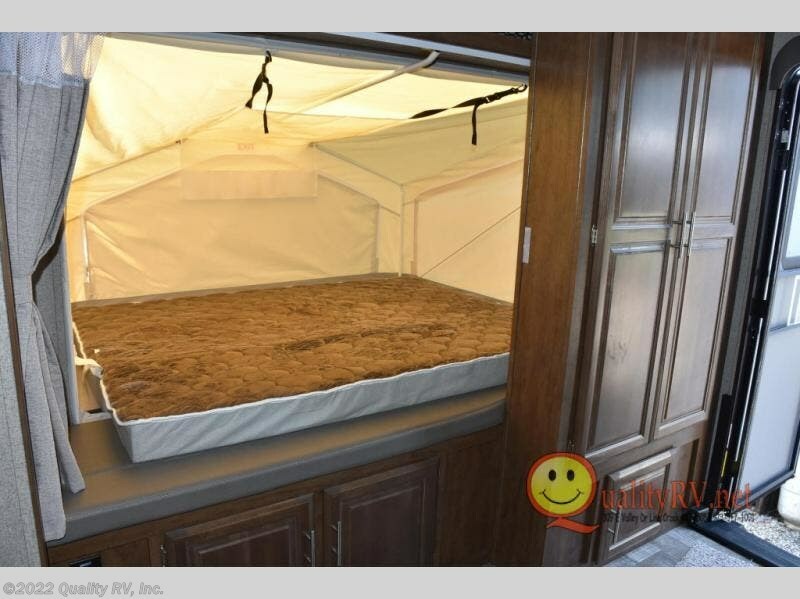 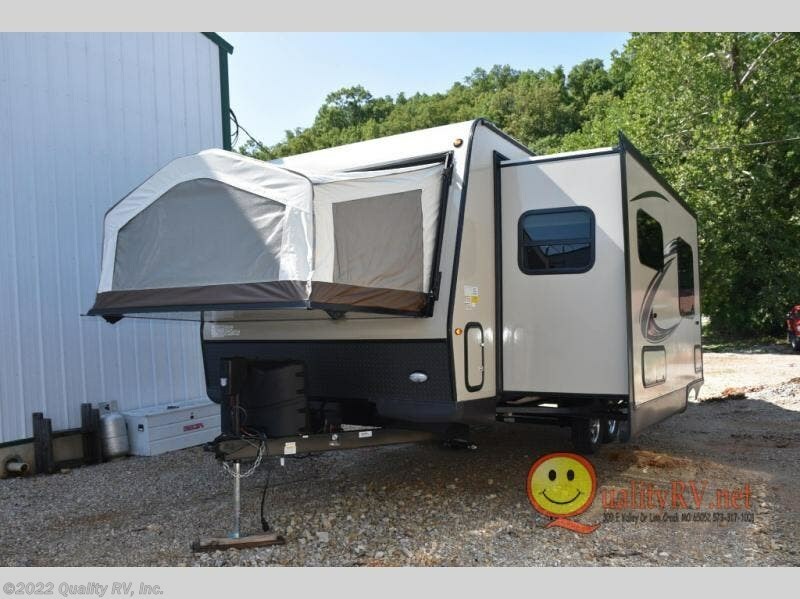 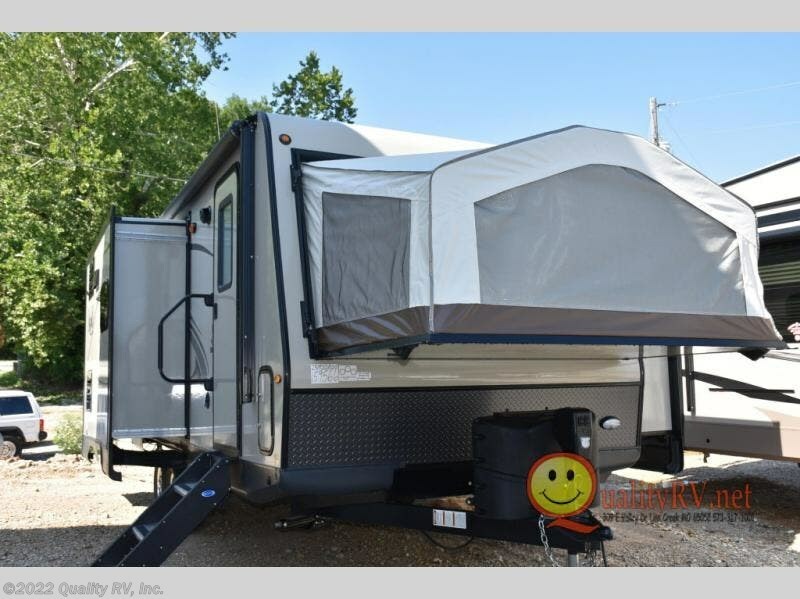 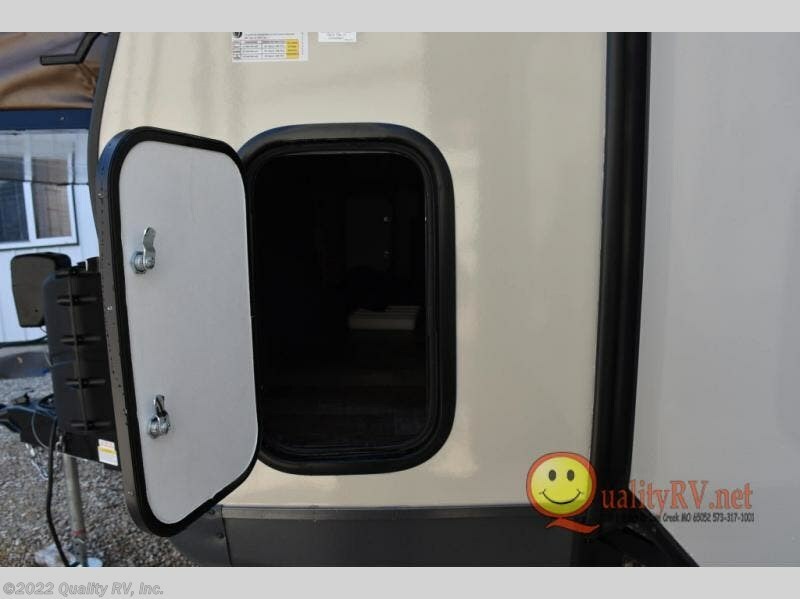 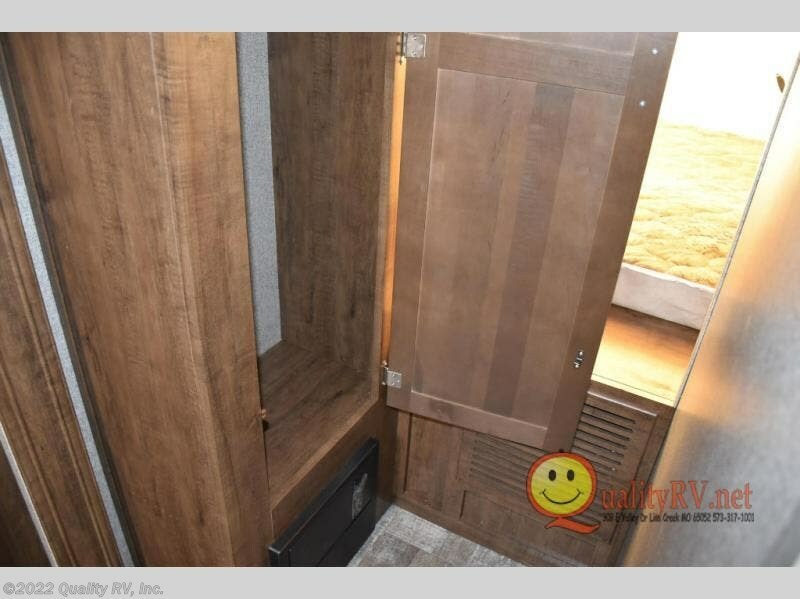 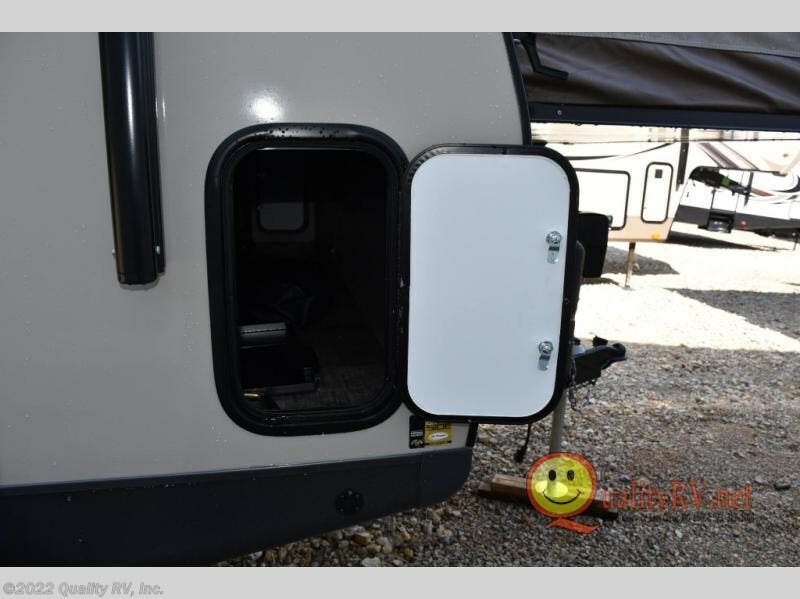 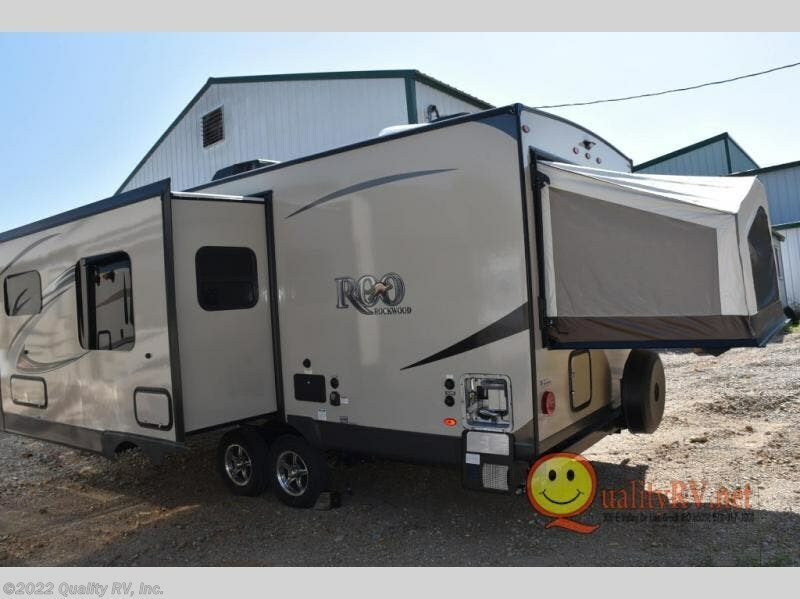 When you are ready for adventure with the comforts of home, step inside this Rockwood Roo expandable. 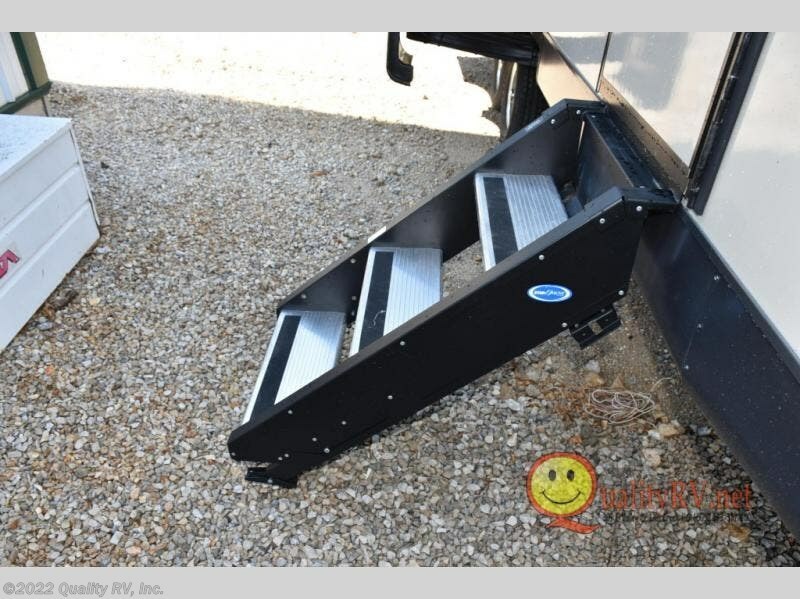 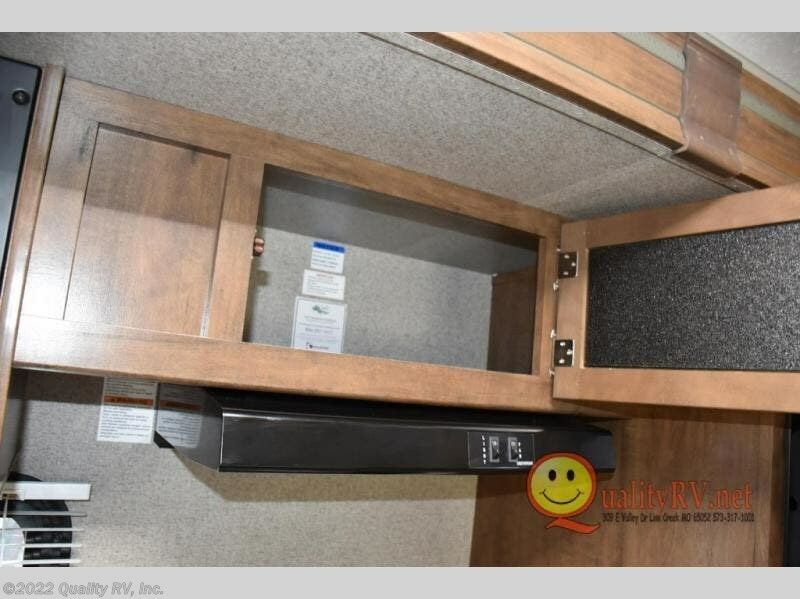 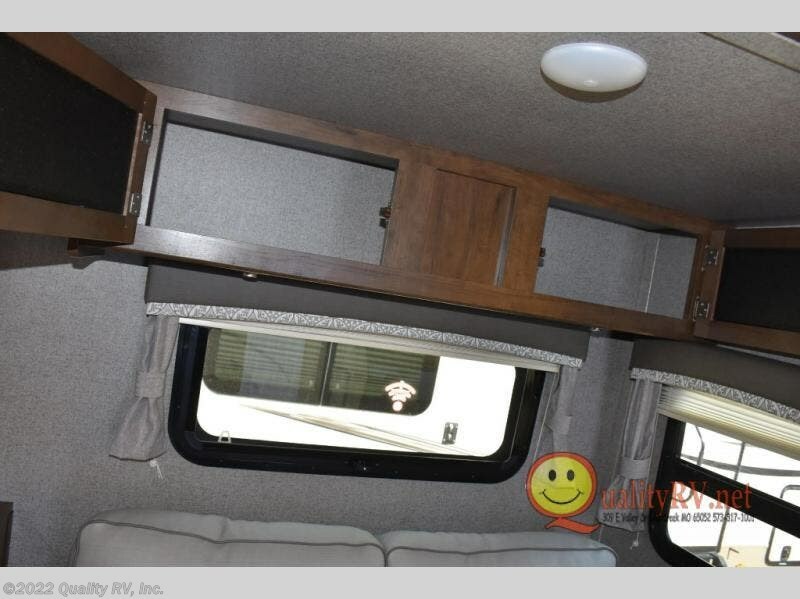 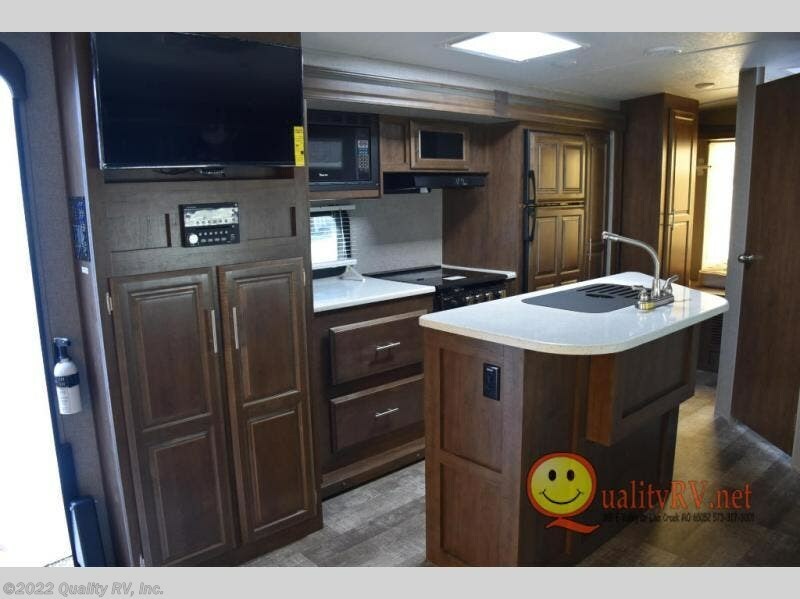 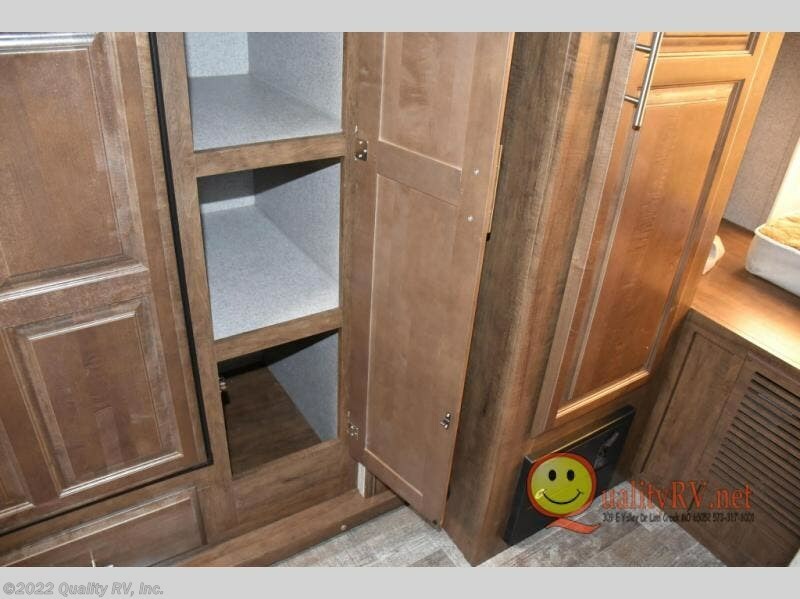 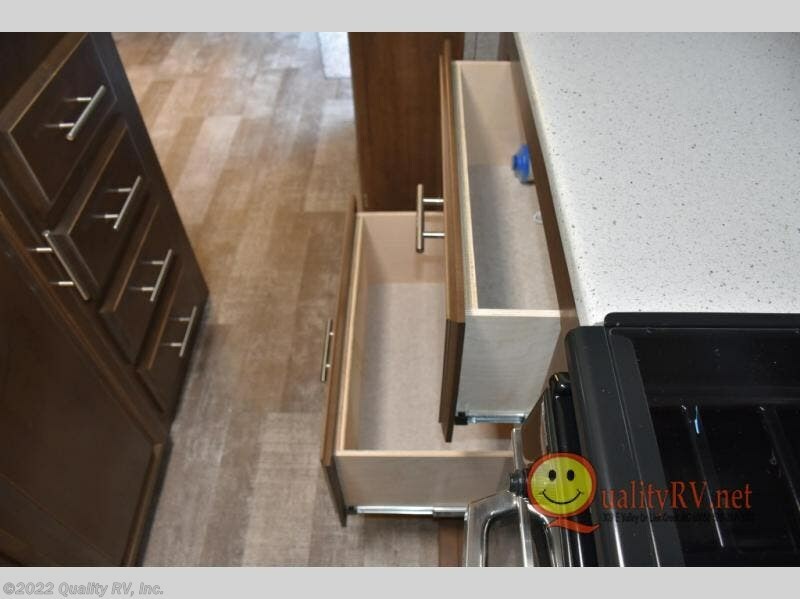 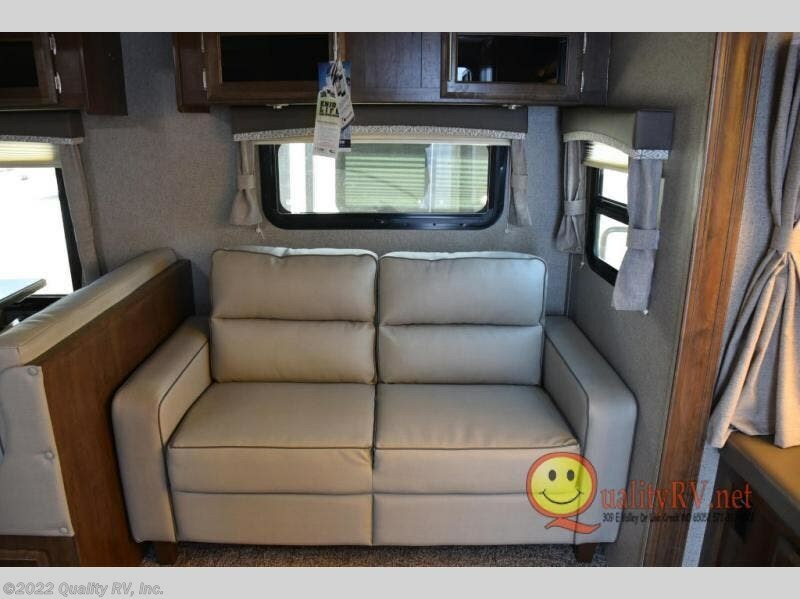 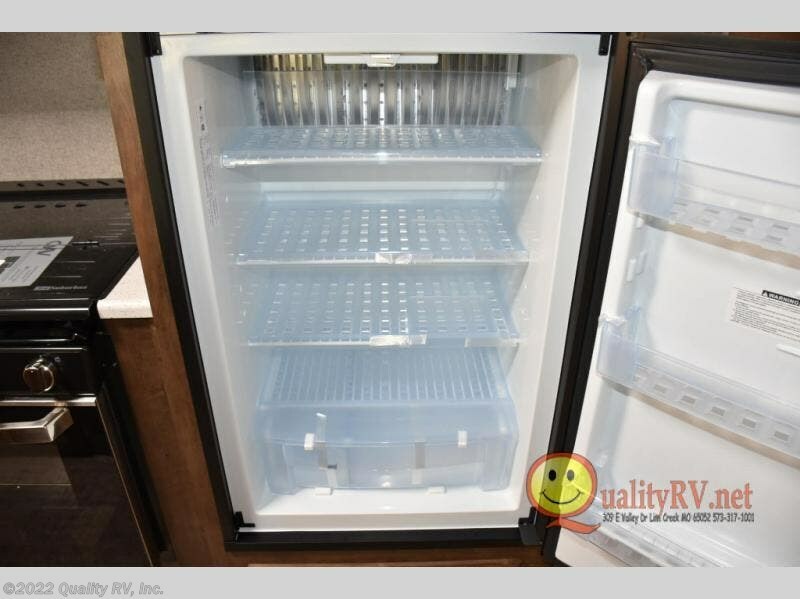 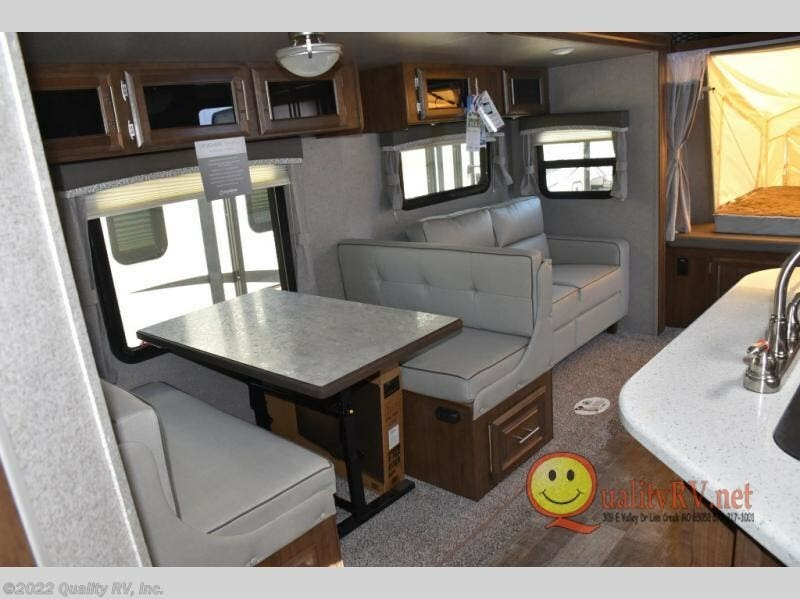 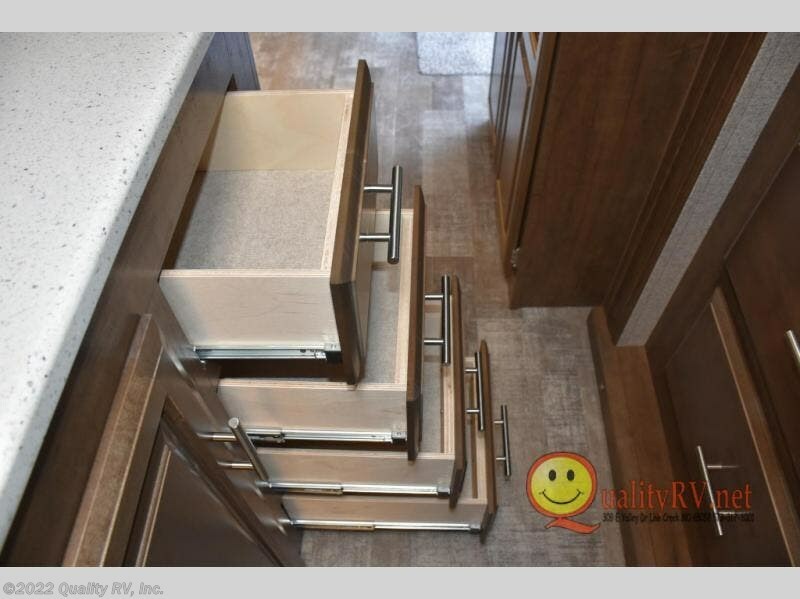 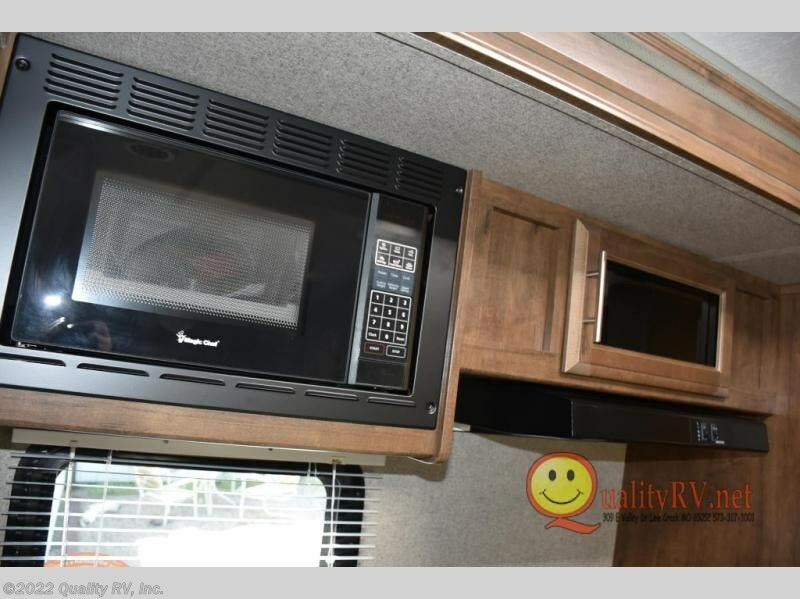 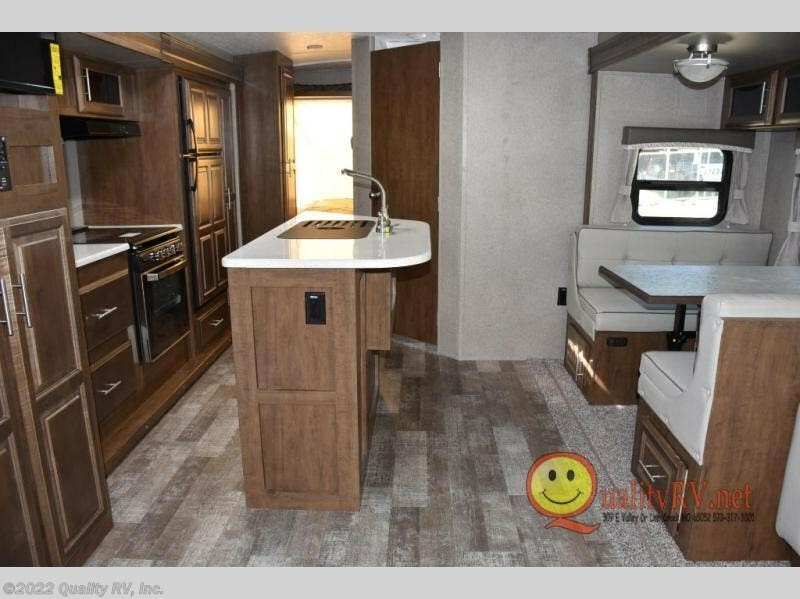 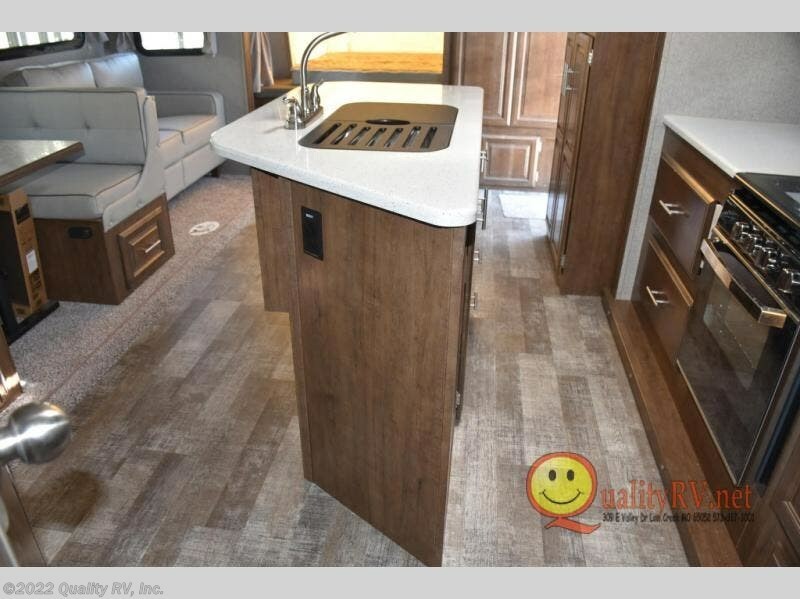 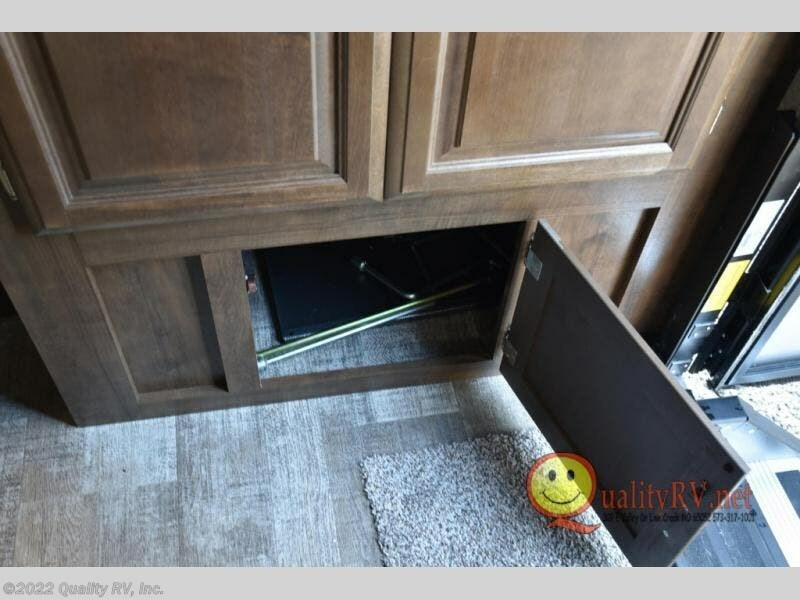 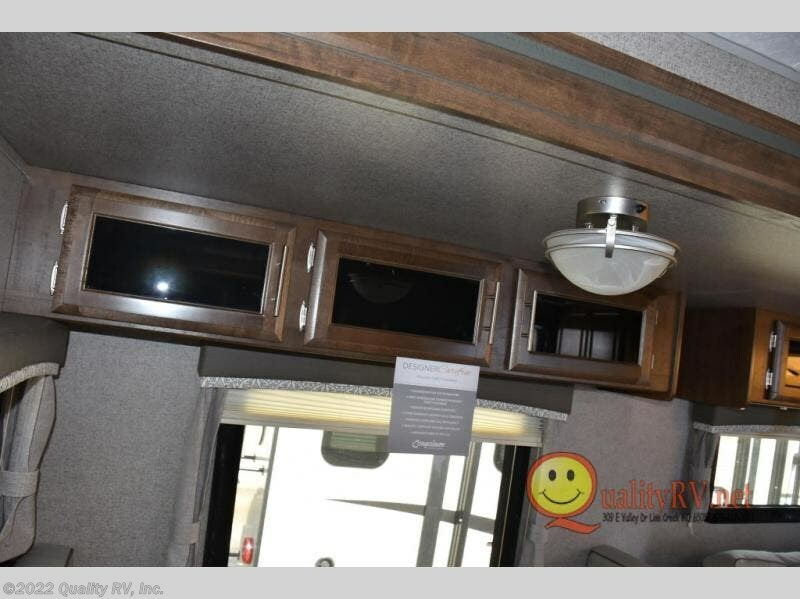 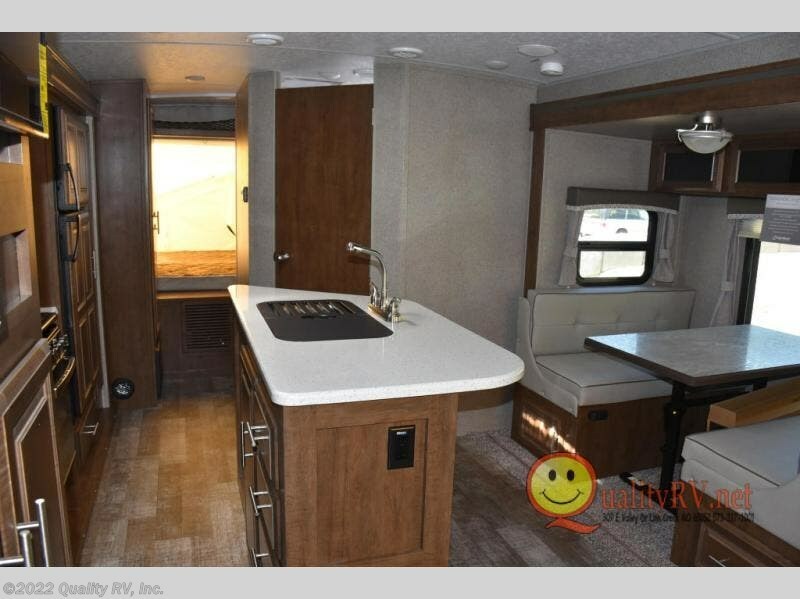 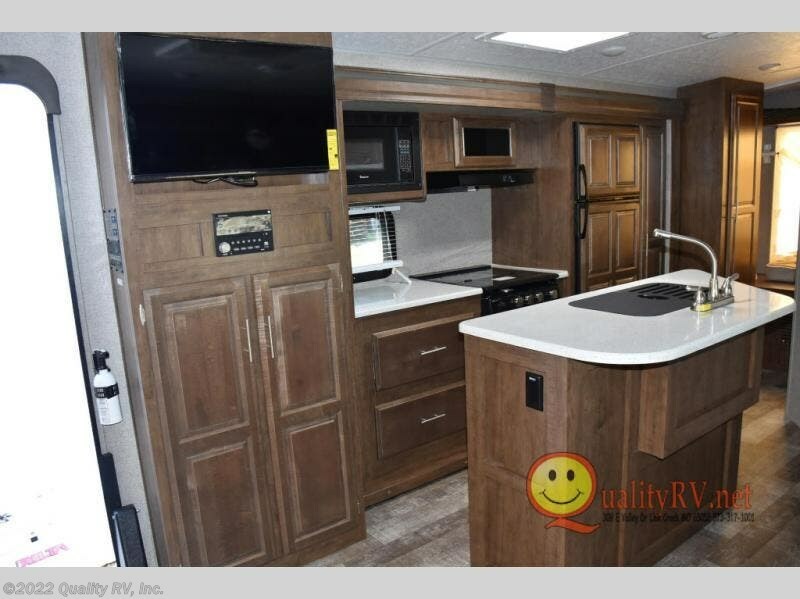 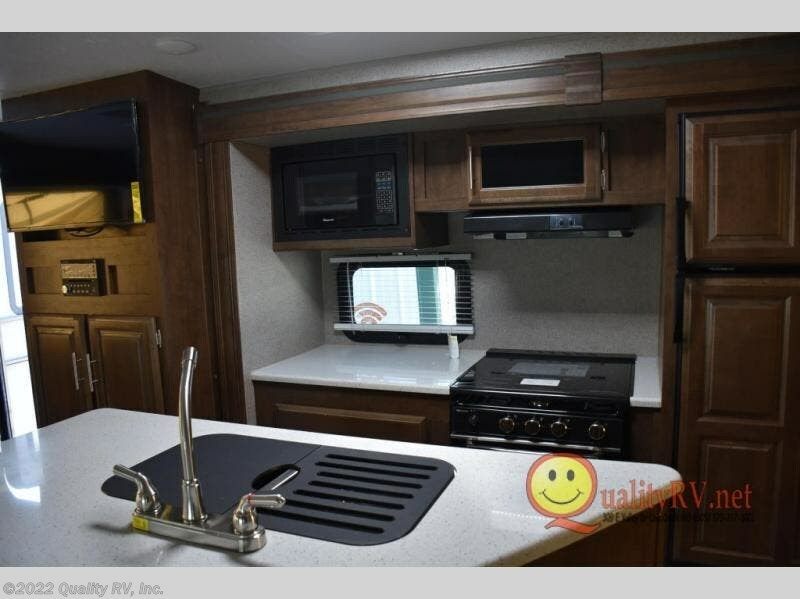 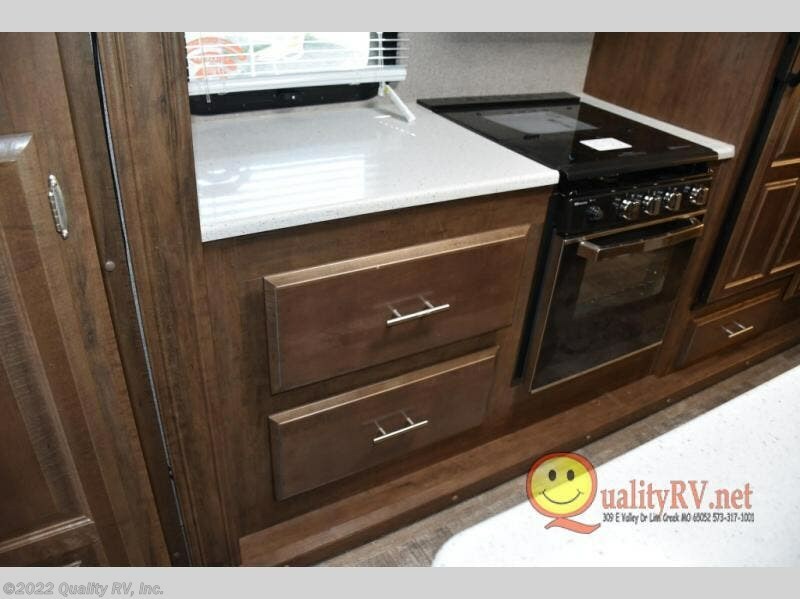 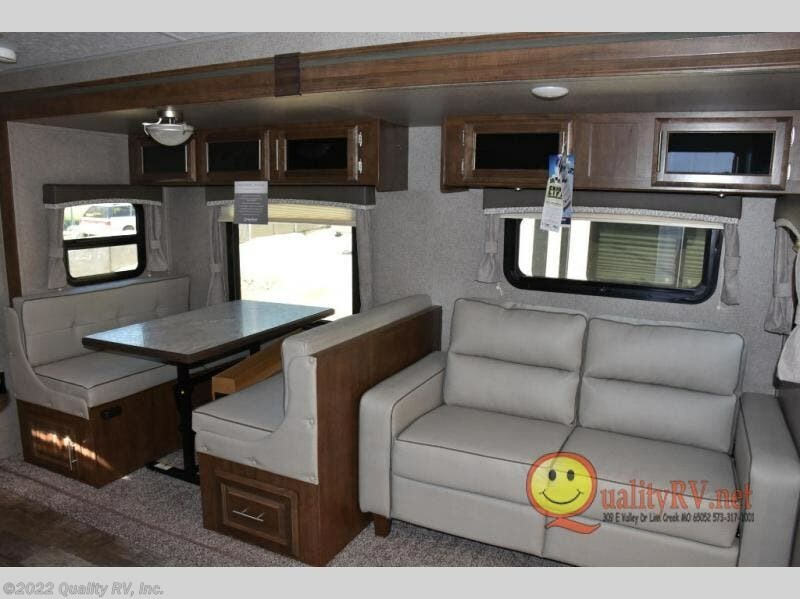 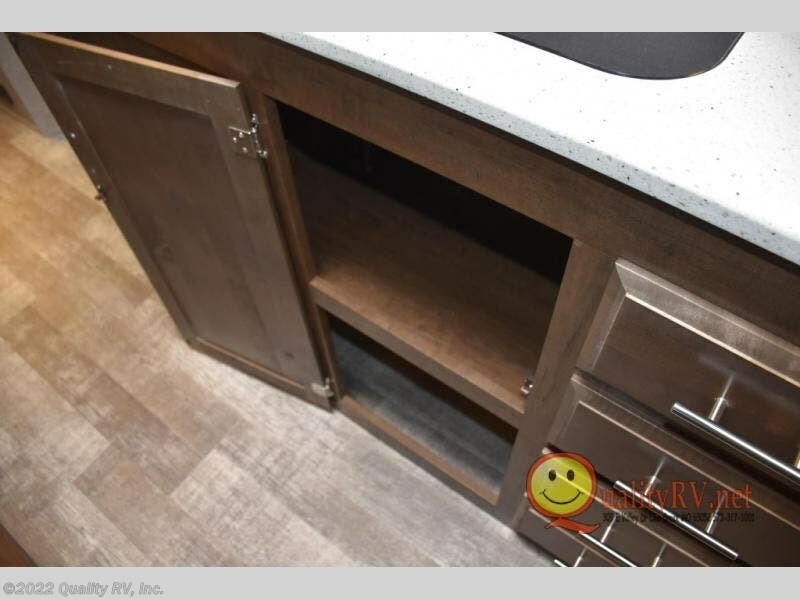 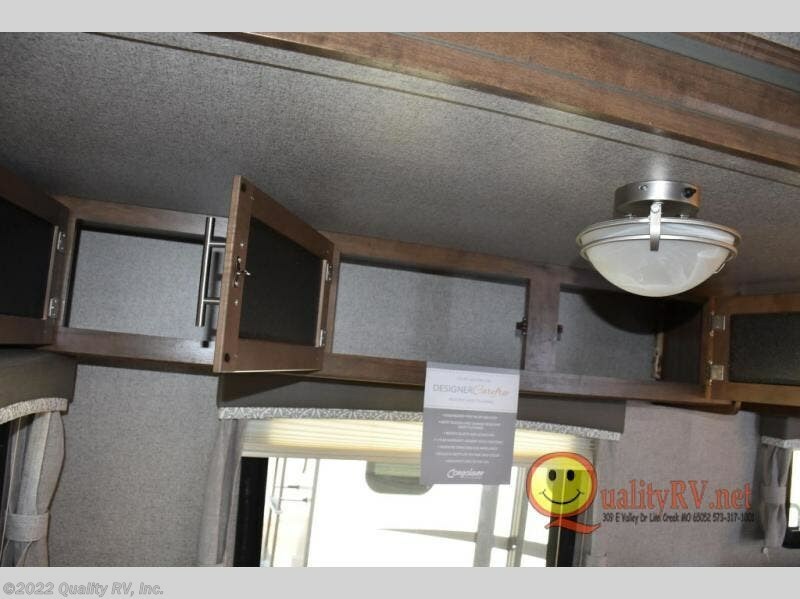 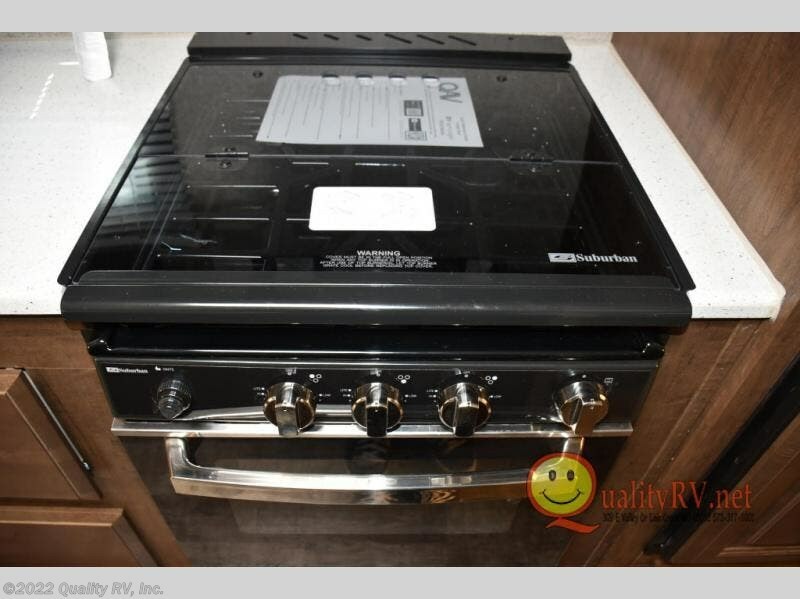 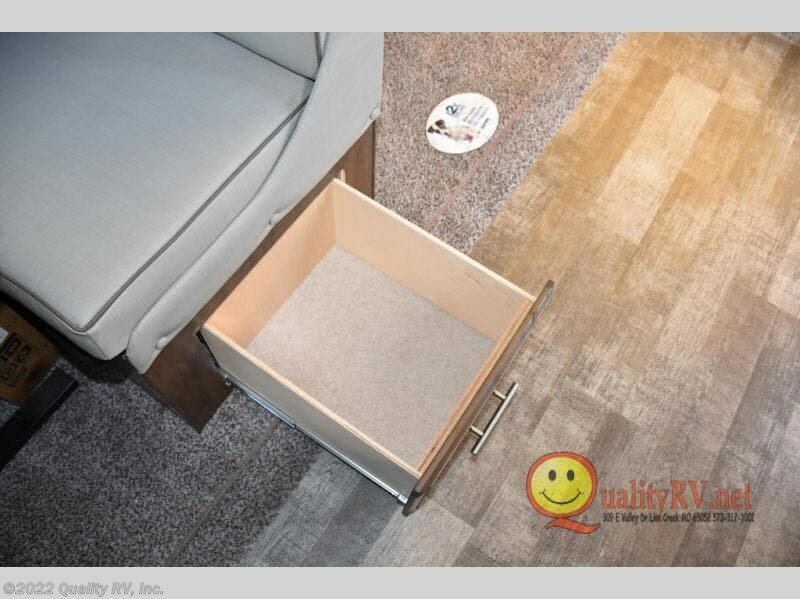 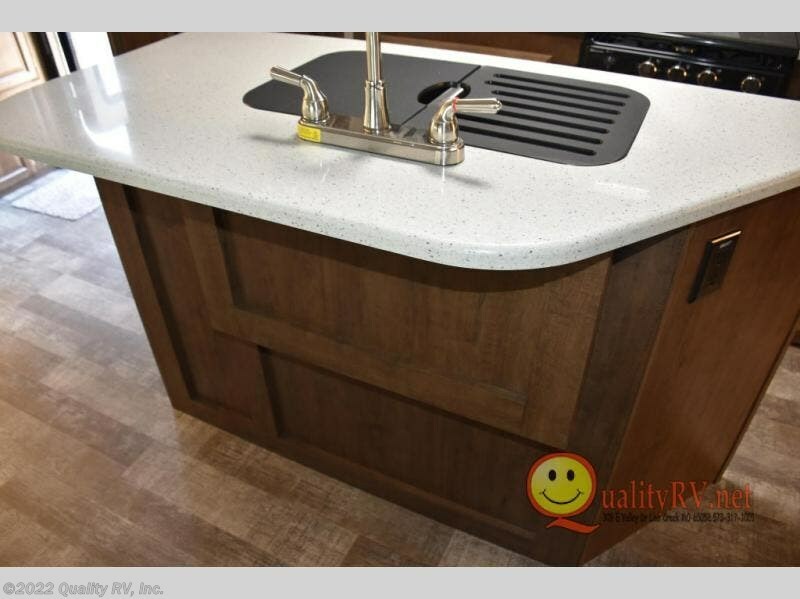 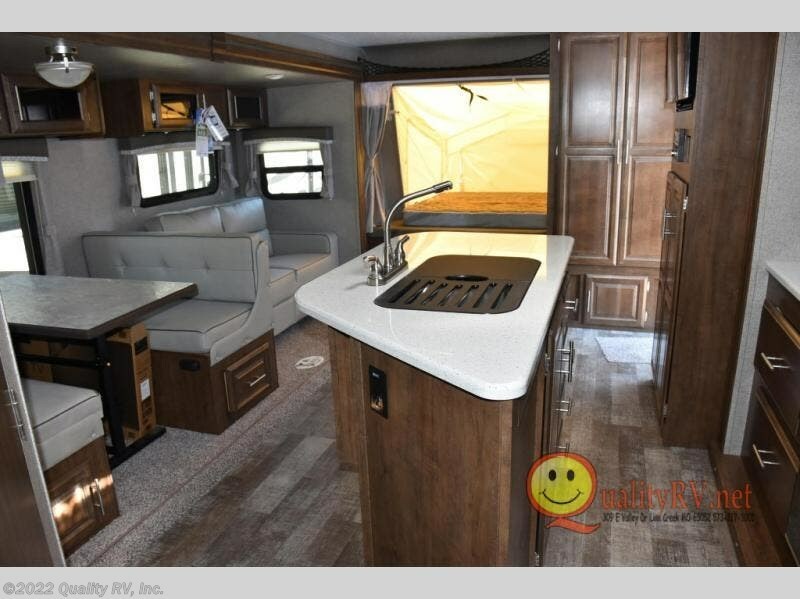 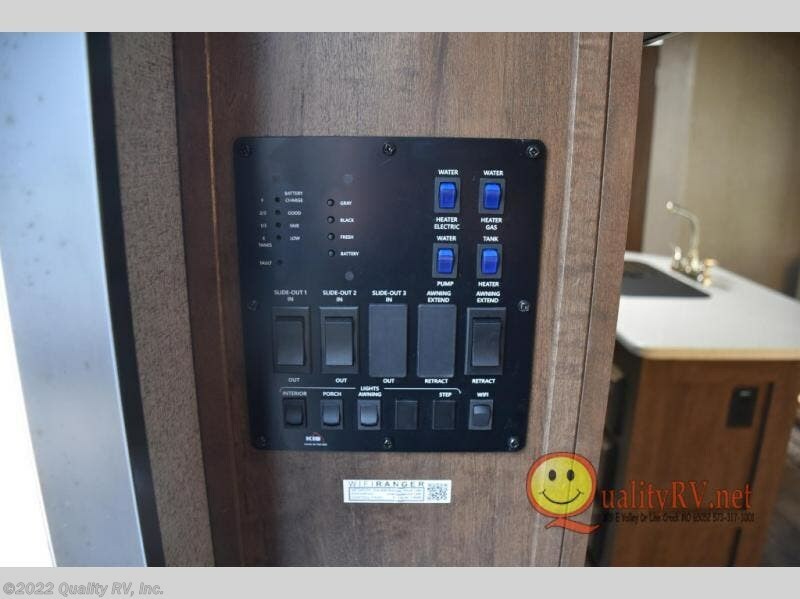 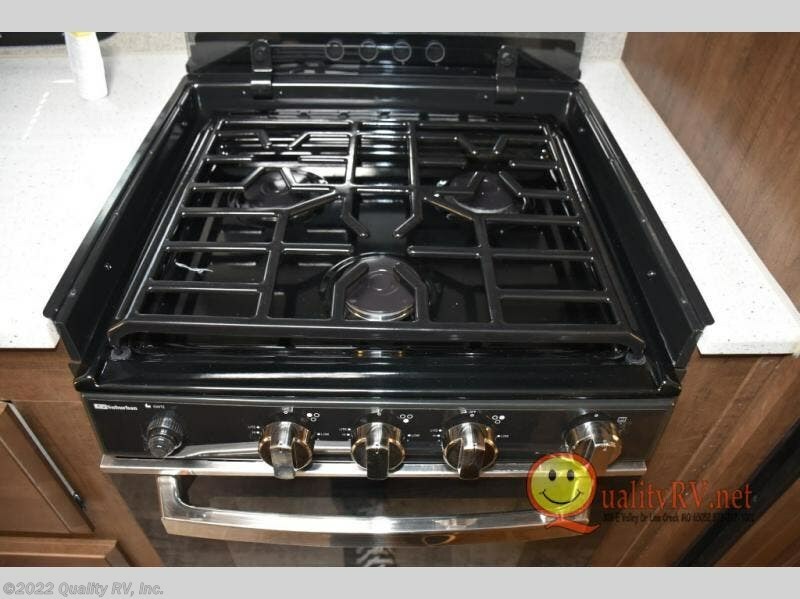 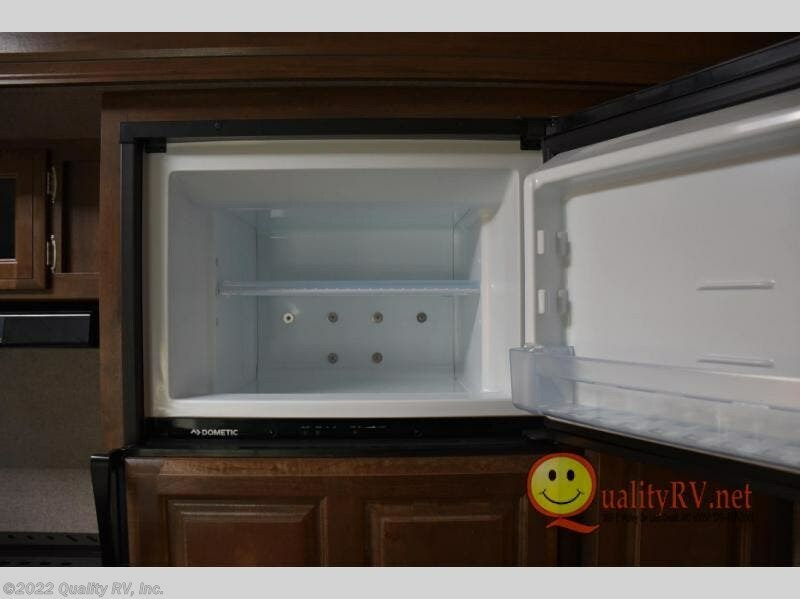 Model 23IKSS offers you space to move around with dual slide outs, a kitchen island to prepare and serve meals, as well as an entertainment center and mounted 32" LCD TV. 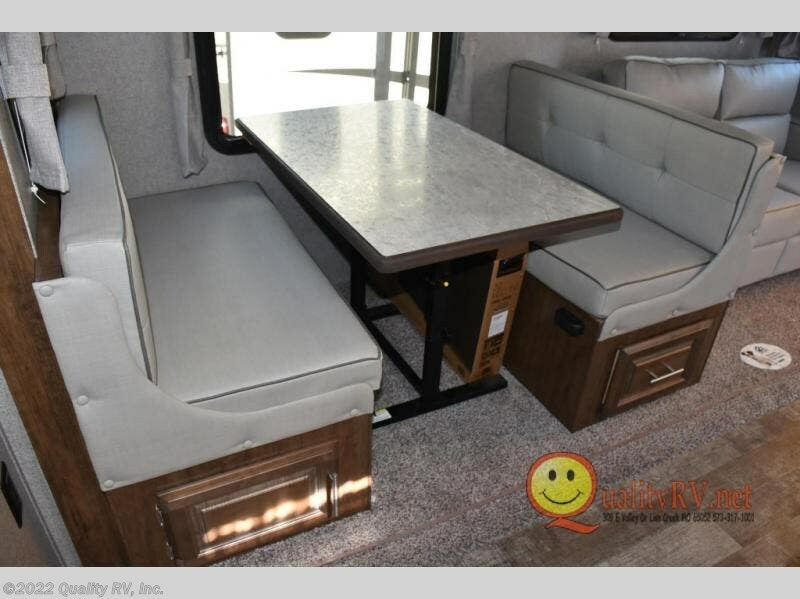 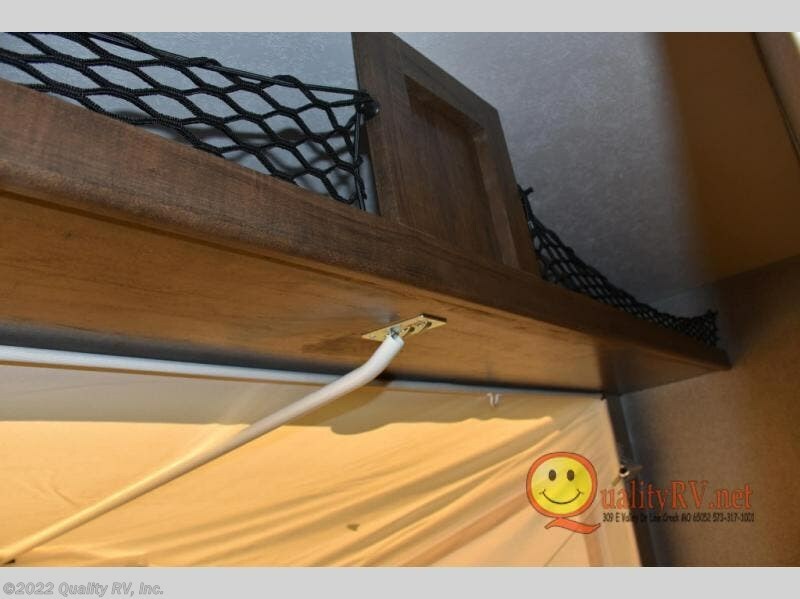 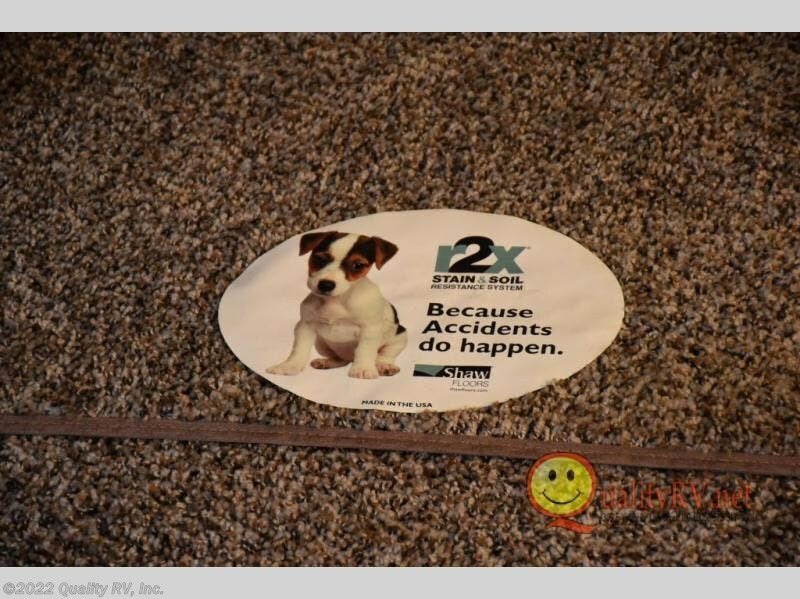 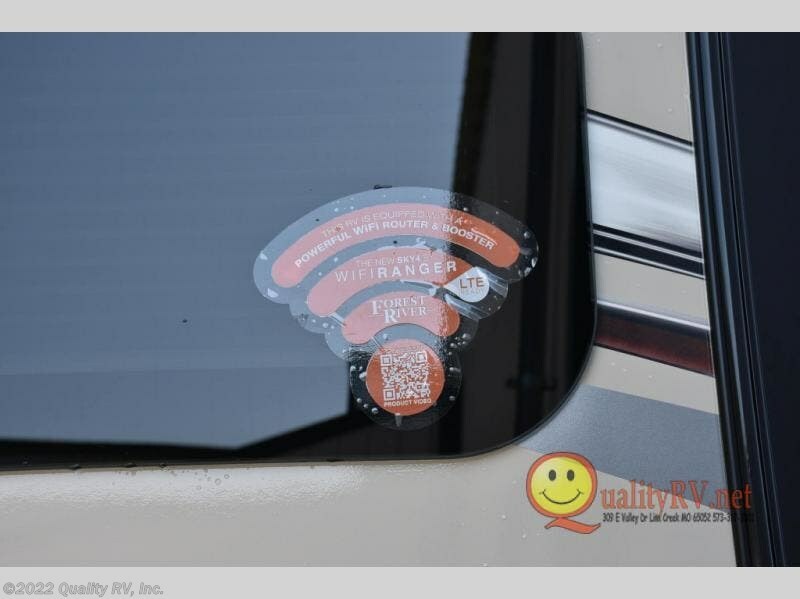 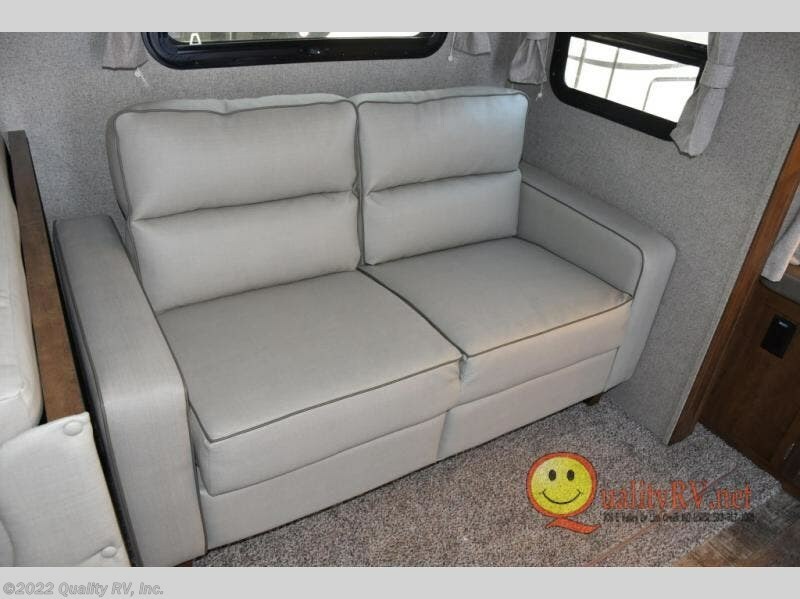 Just imagine watching listening to the digital AM/FM/CD/DVD with remote while the kids are relaxing on the dinette or sofa. 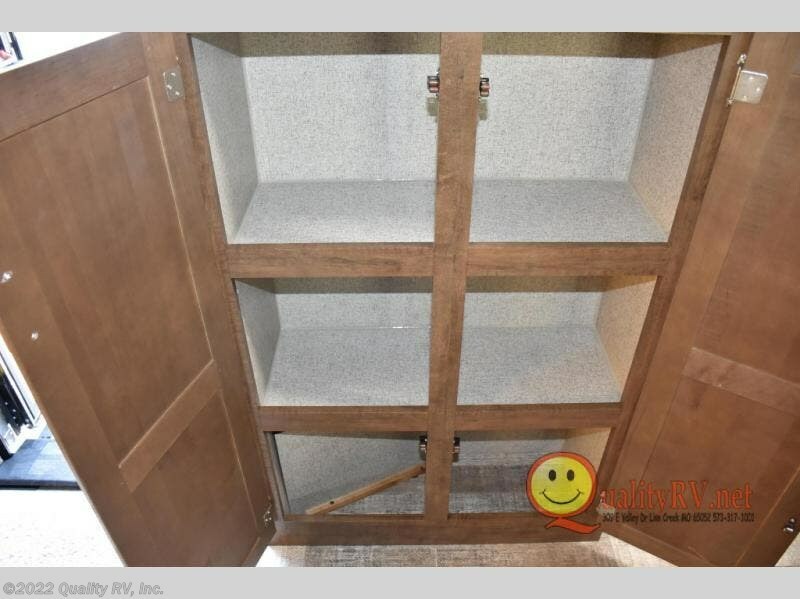 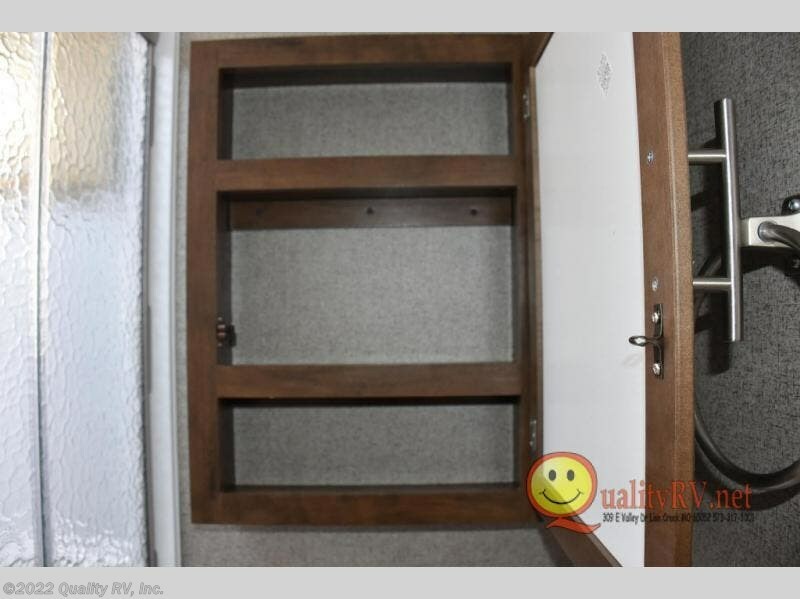 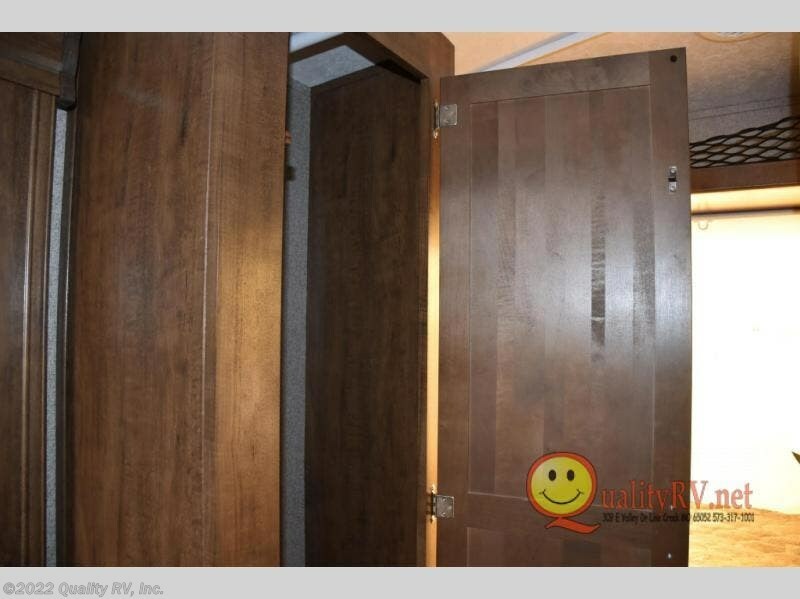 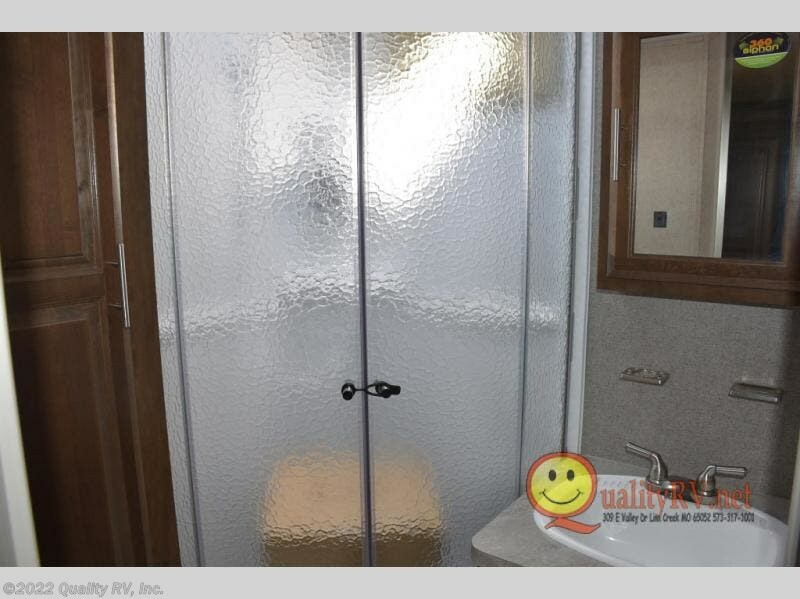 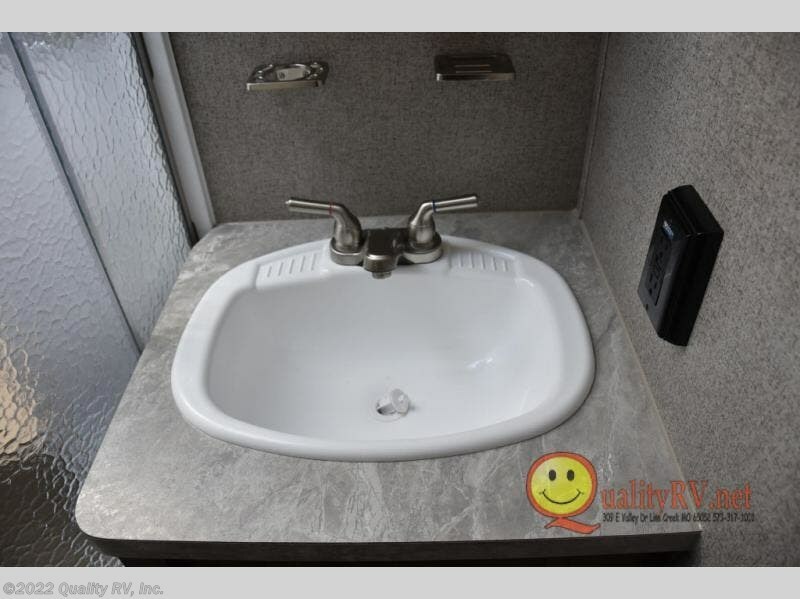 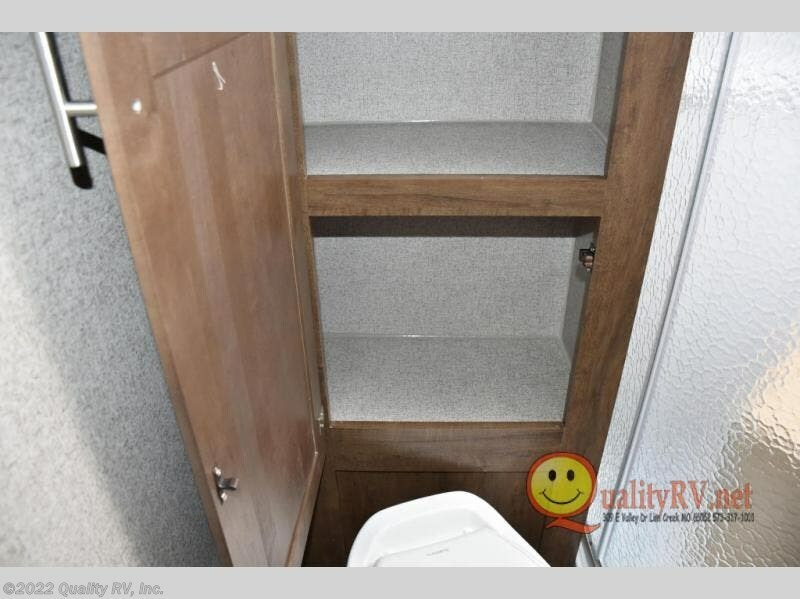 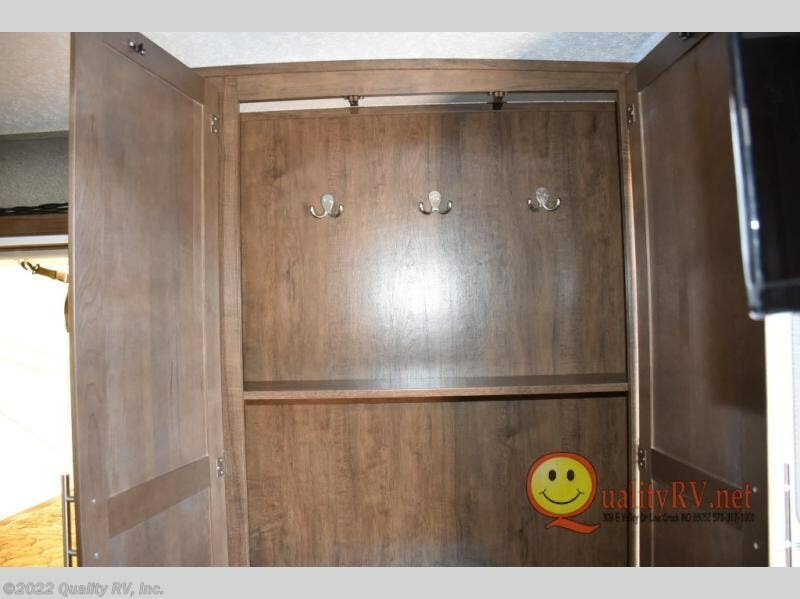 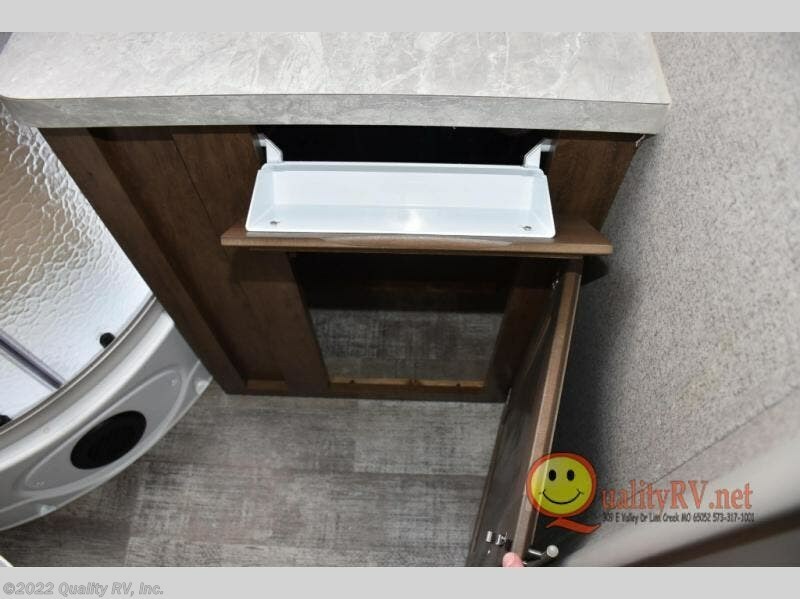 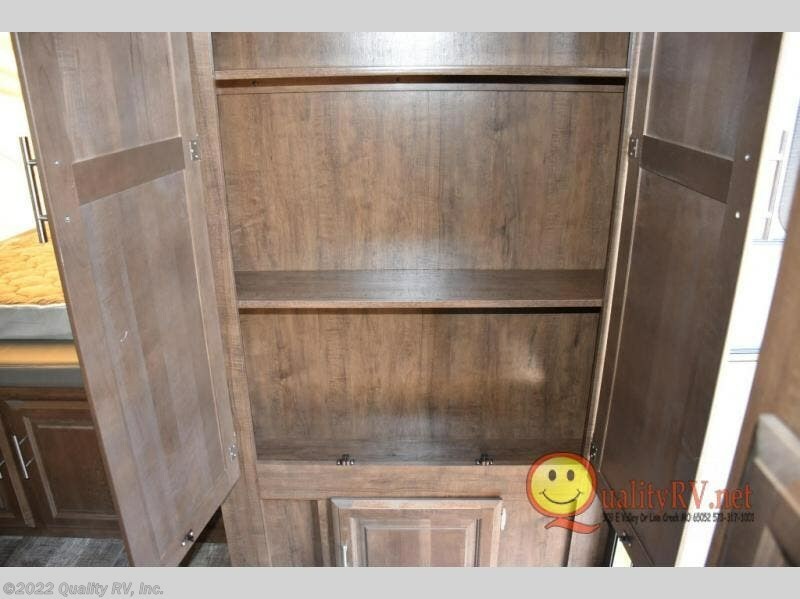 You will appreciate the convenience of your own bathroom and kitchen amenities, plus all the storage. 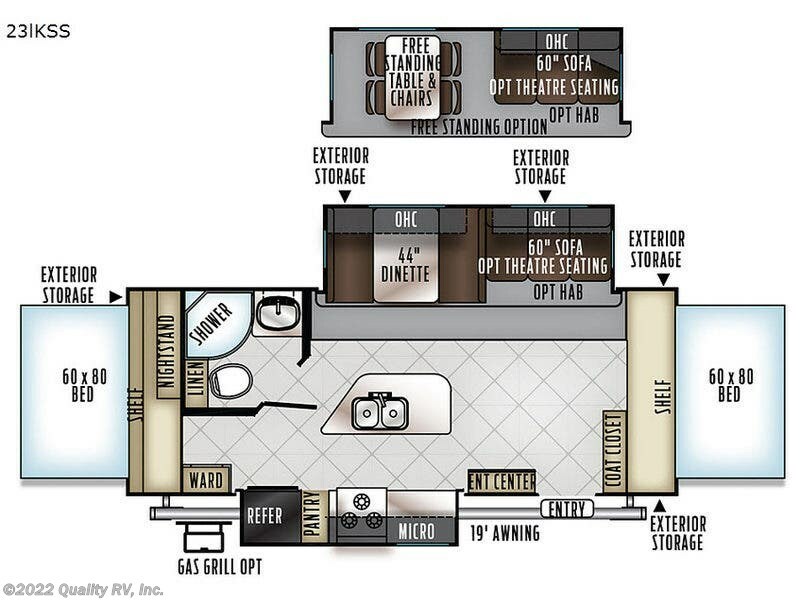 It's time to start checking off your bucket list, and start traveling today! 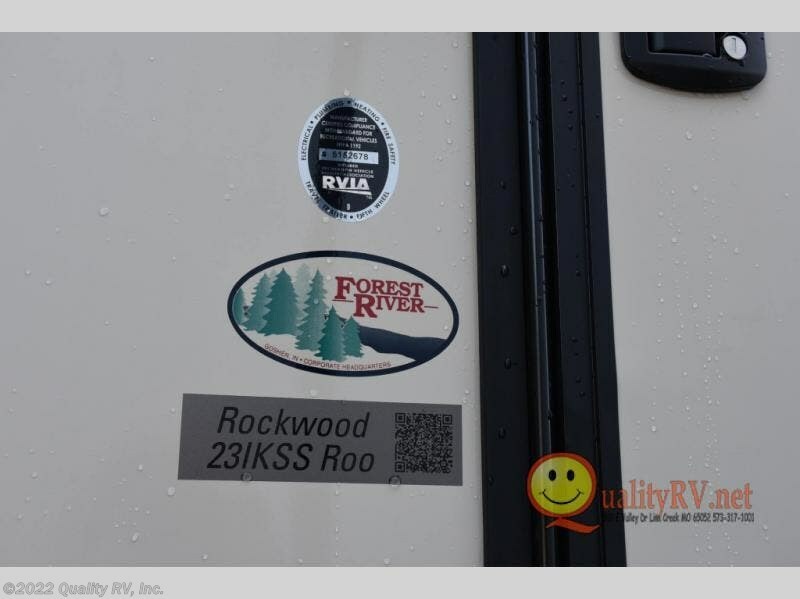 The Forest River Rockwood Roo is exactly what you should take a look at when searching for the ideal expandable. 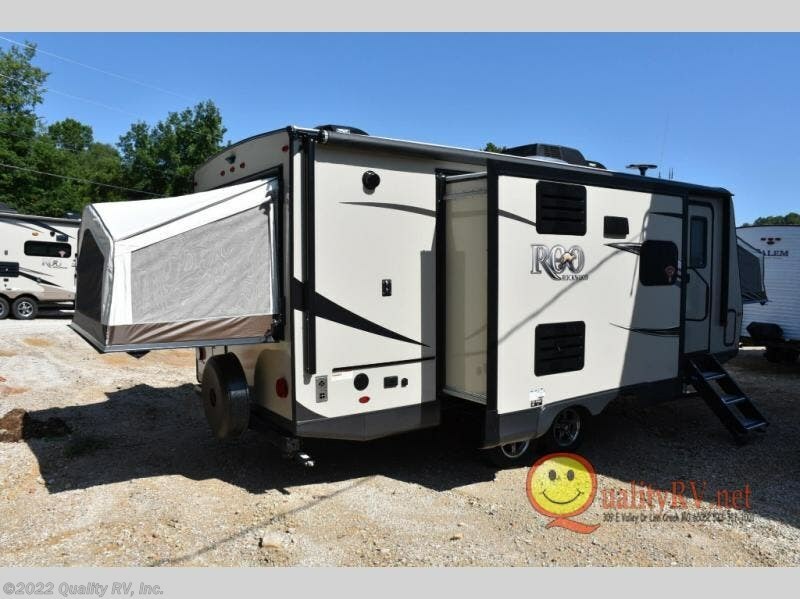 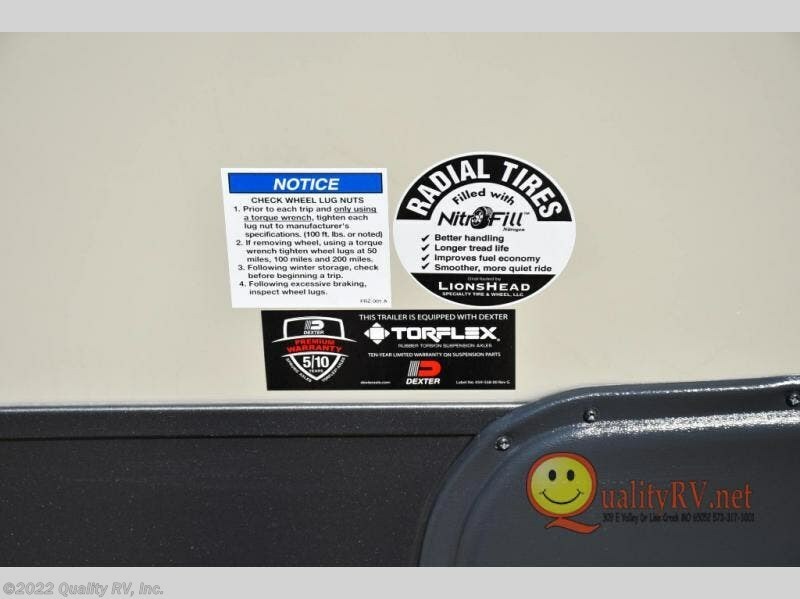 Each unit uses Easy Lube axles and Nev-R adjust brakes, plus a Torsion axle, and Rubber-Ryde suspension for a smooth ride to your destination. 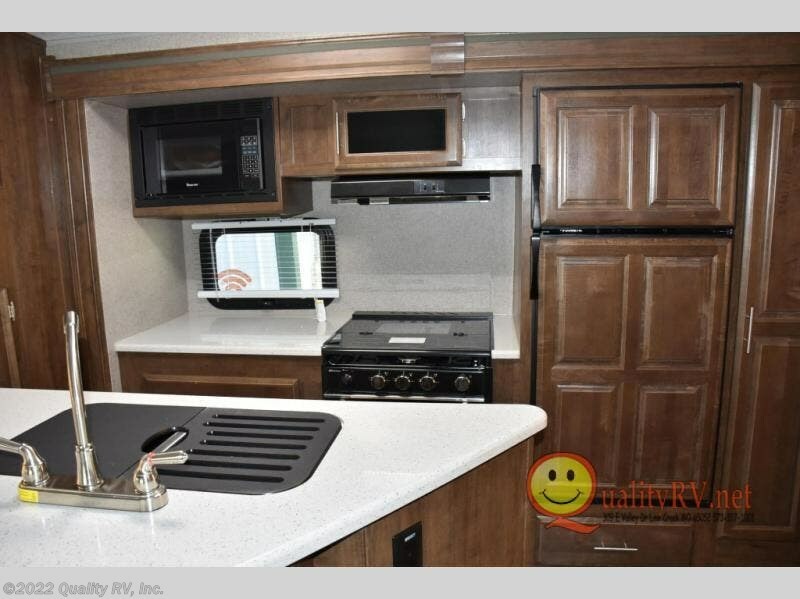 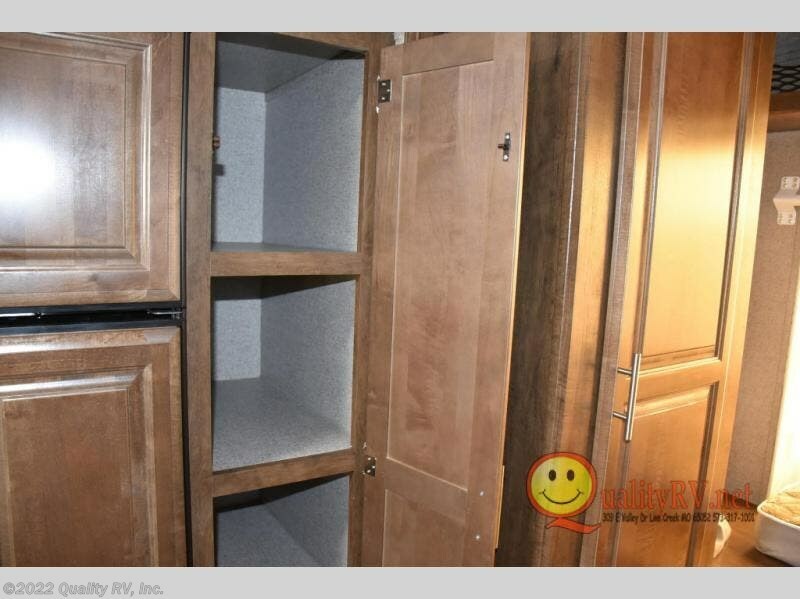 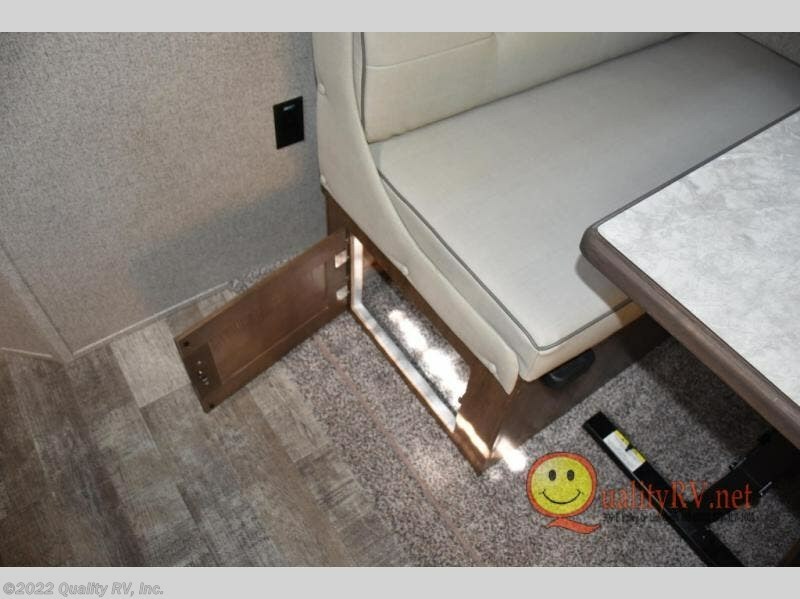 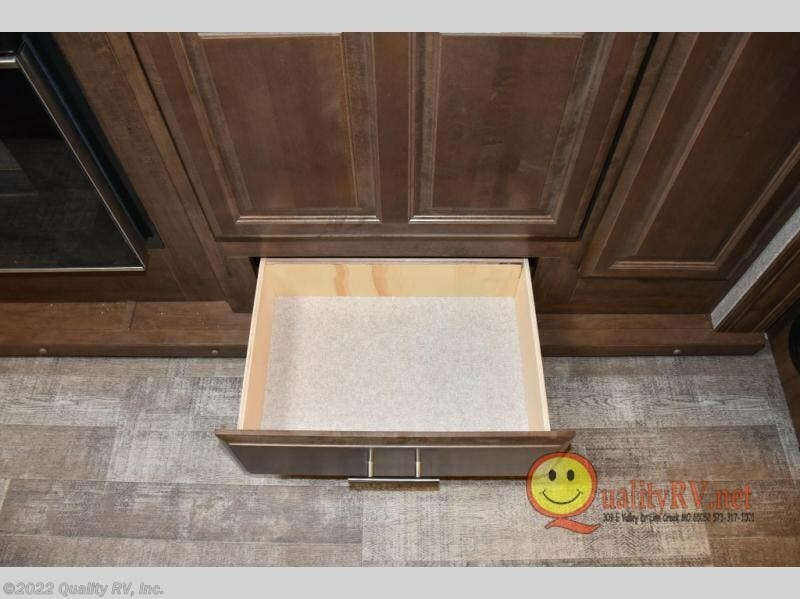 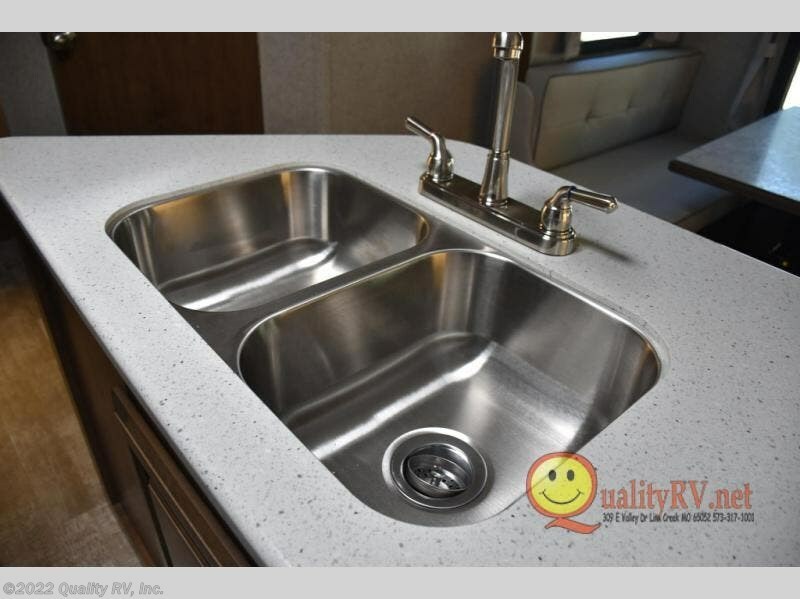 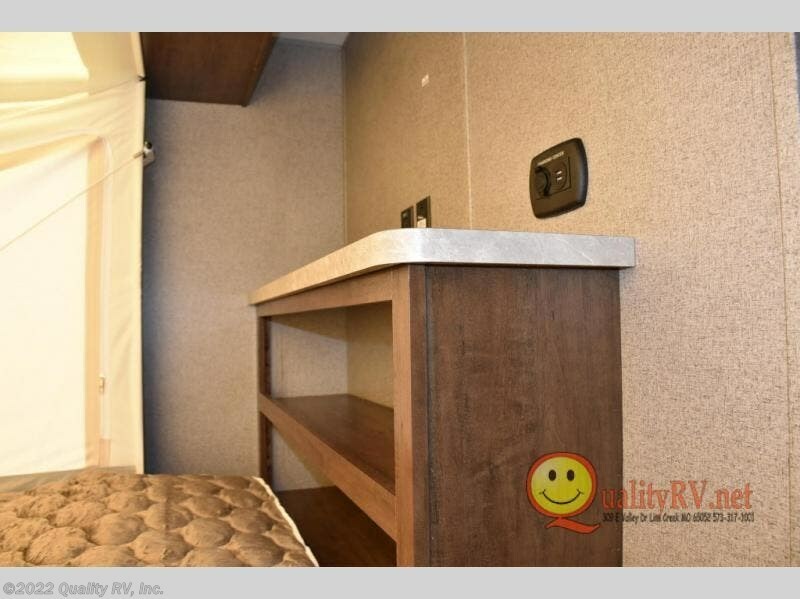 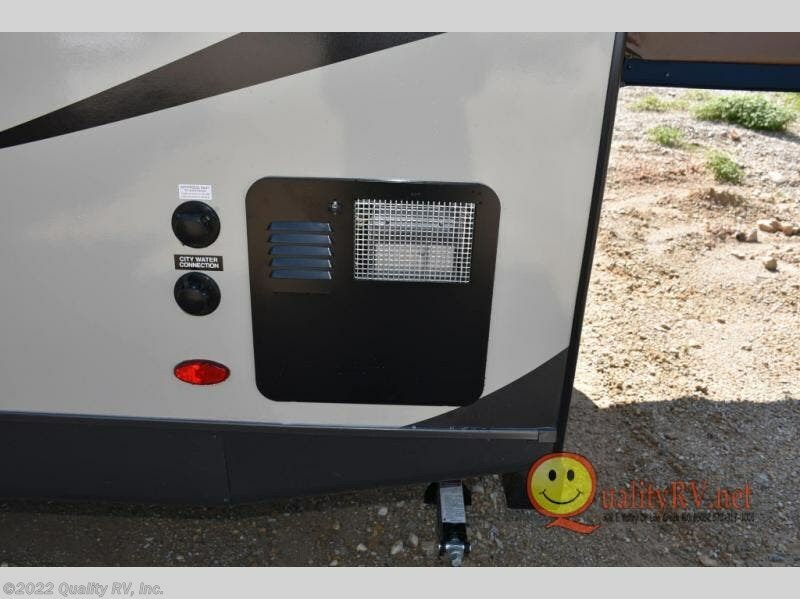 Inside you will enjoy solid surface kitchen countertops, all the appliances necessary to make meals on the go, a bed cable system with no poles, a heated mattress, a TV, and a WiFi Ranger WiFi Booster to mention a few reason you will love any expandable you choose! 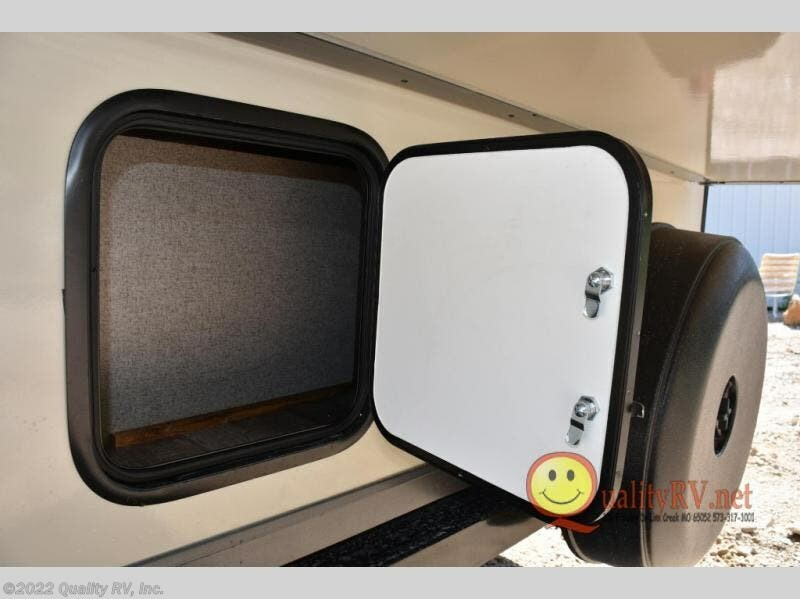 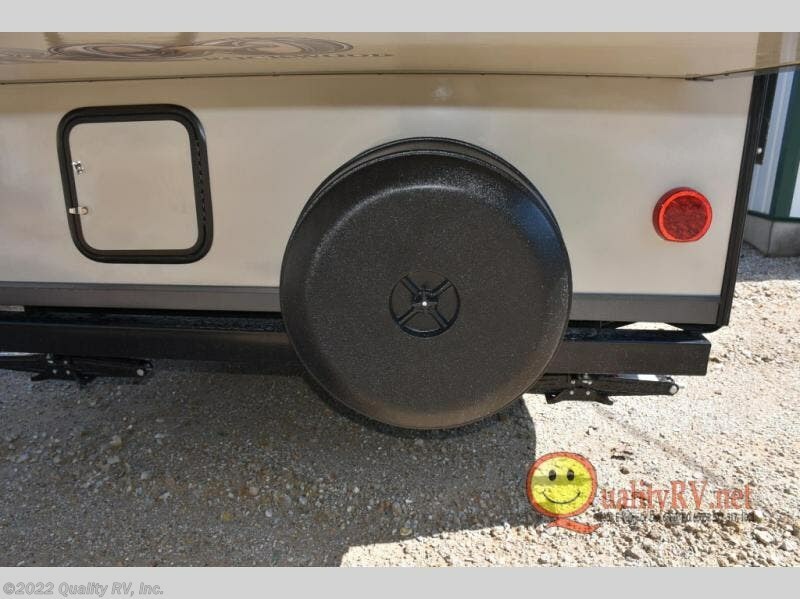 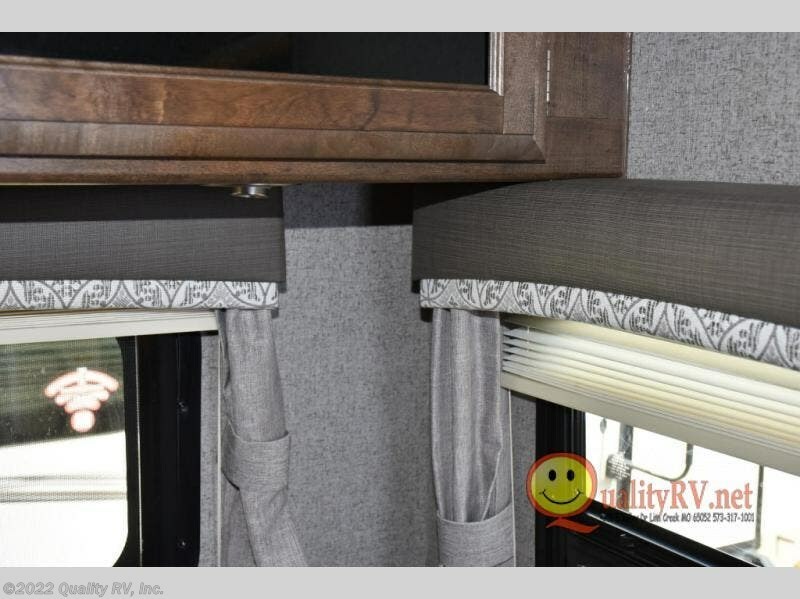 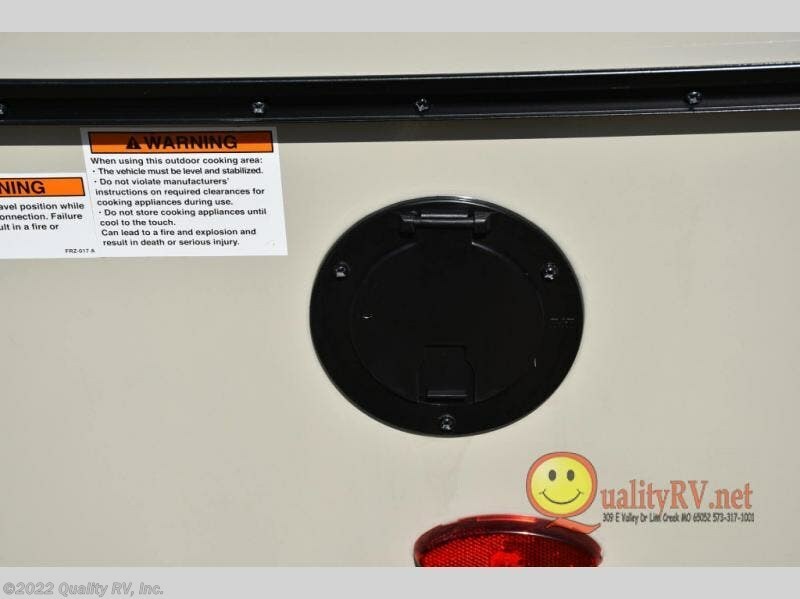 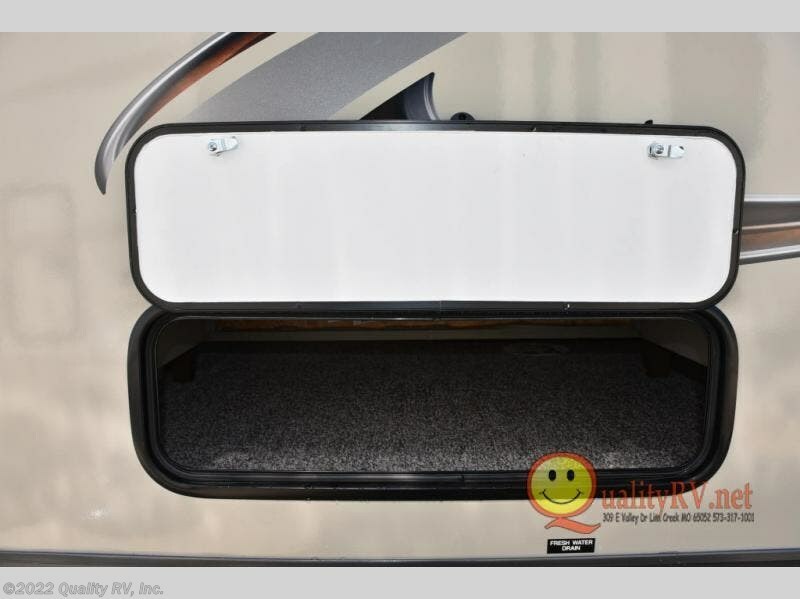 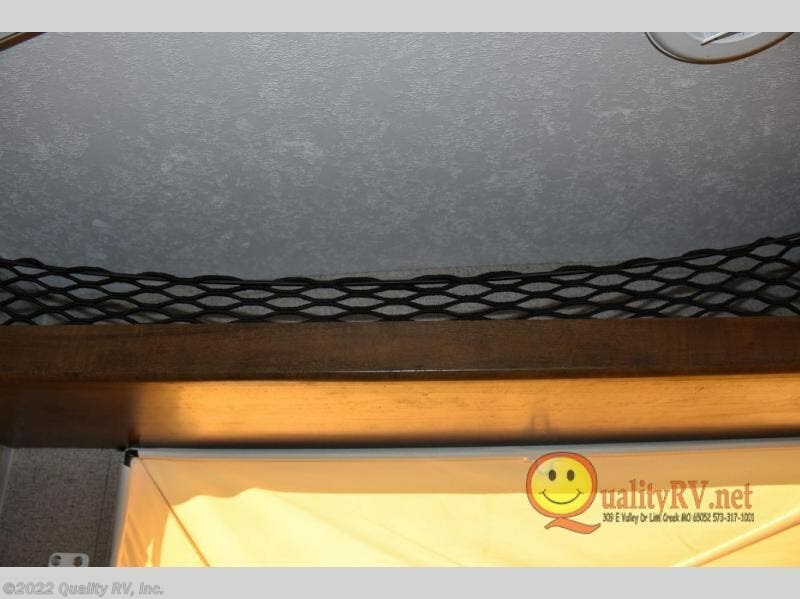 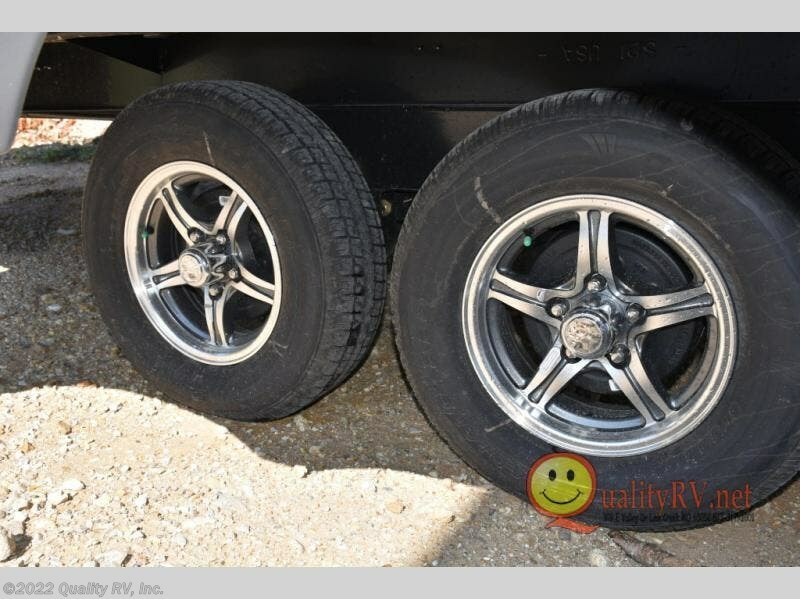 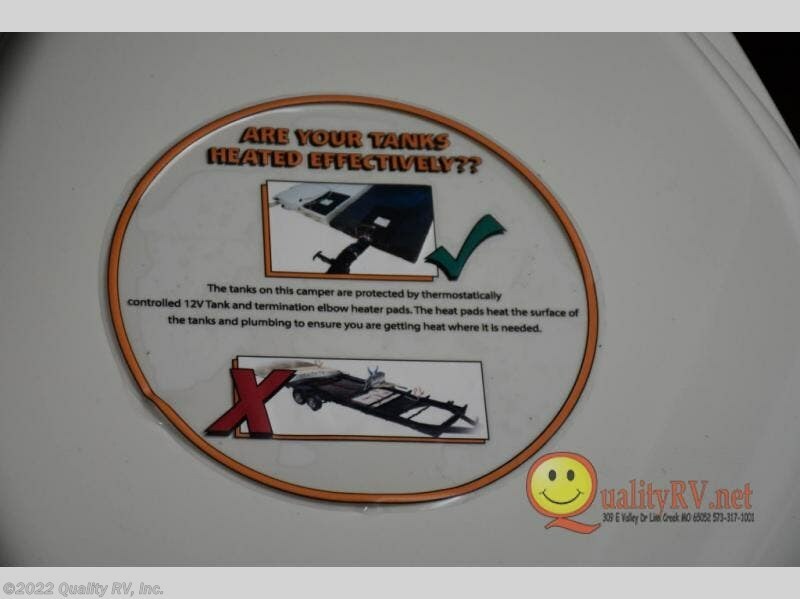 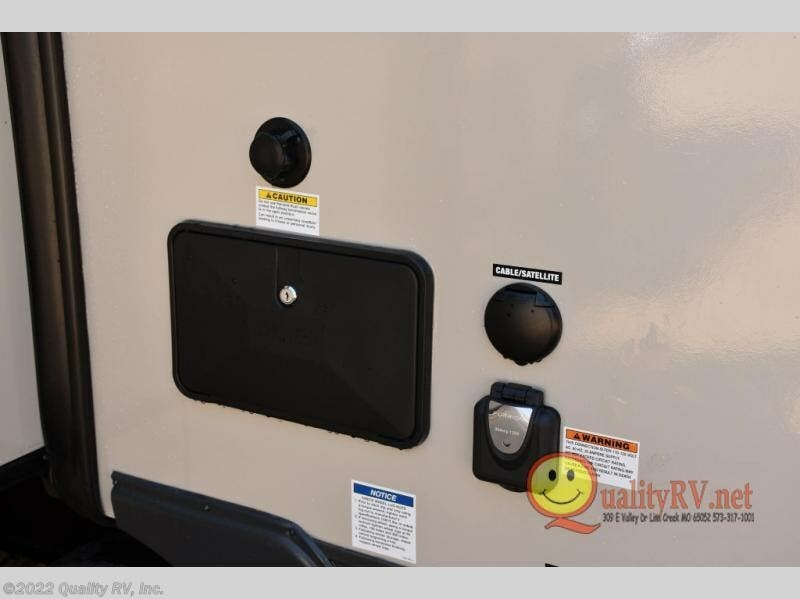 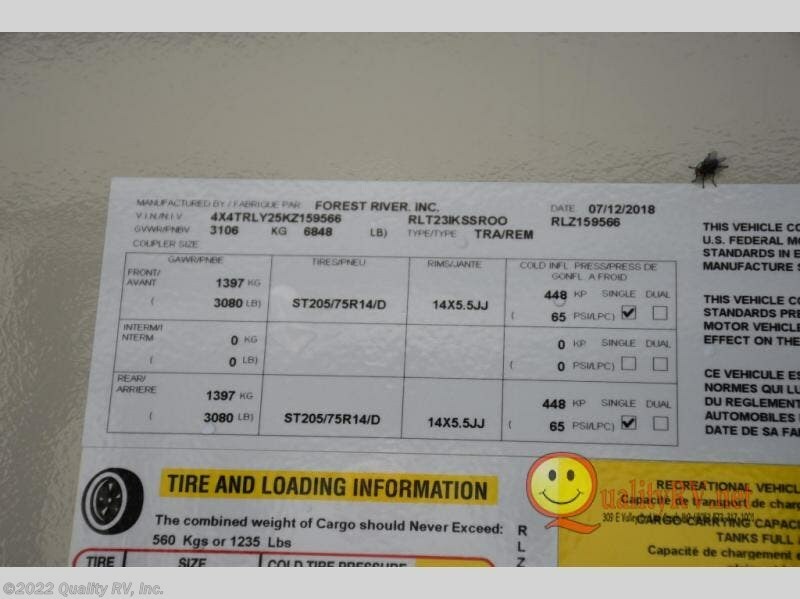 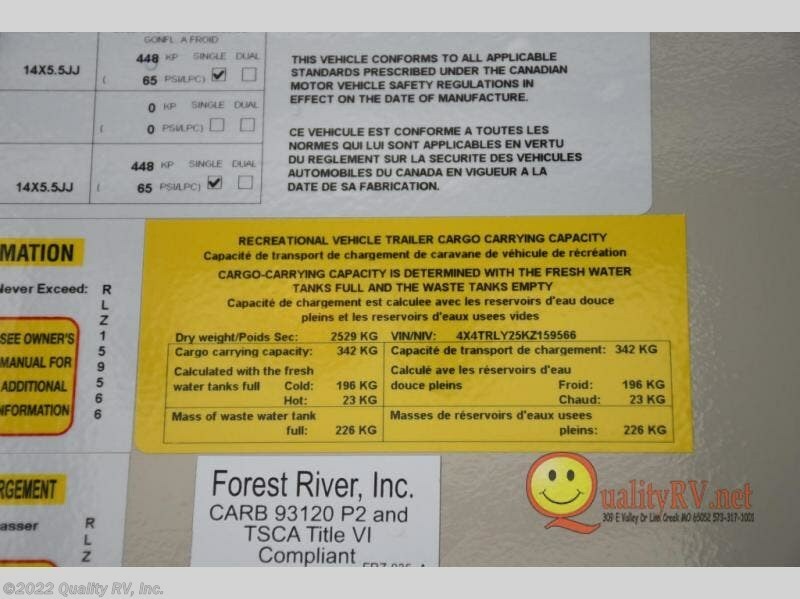 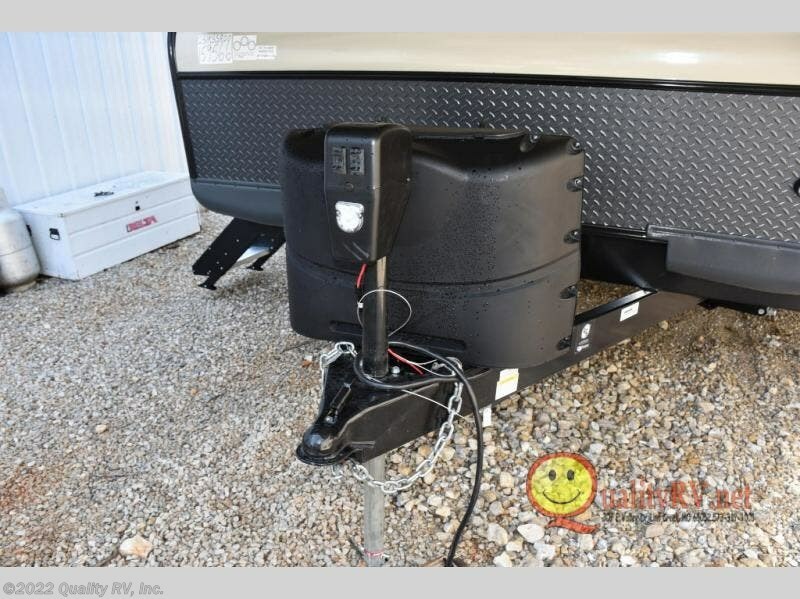 Check out Stock # KZ159566 - 2019 Forest River Rockwood Roo 23IKSS on forestriverrvsource.com!